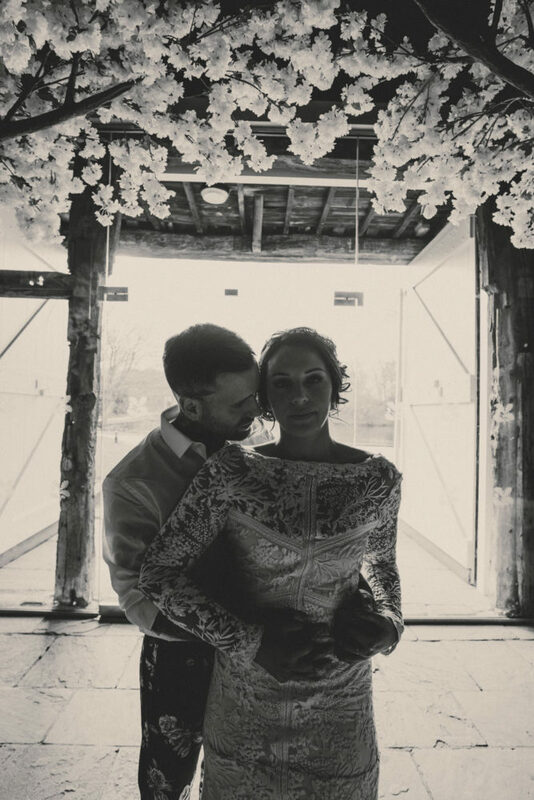 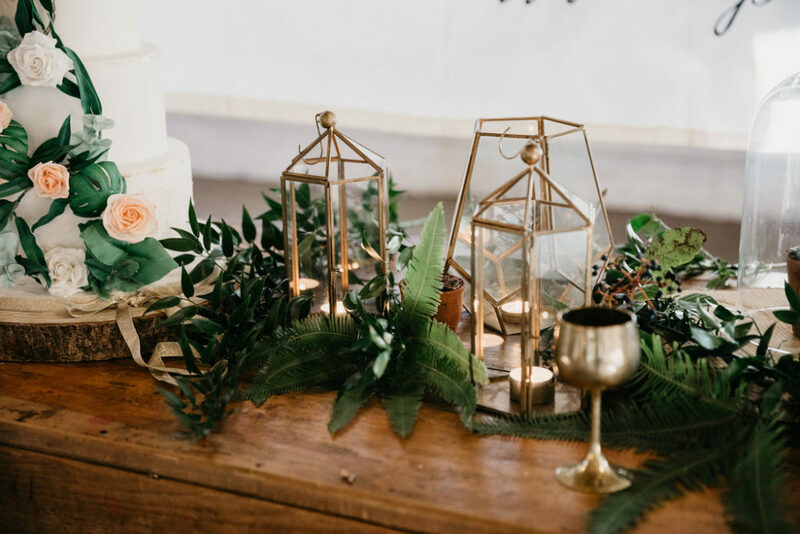 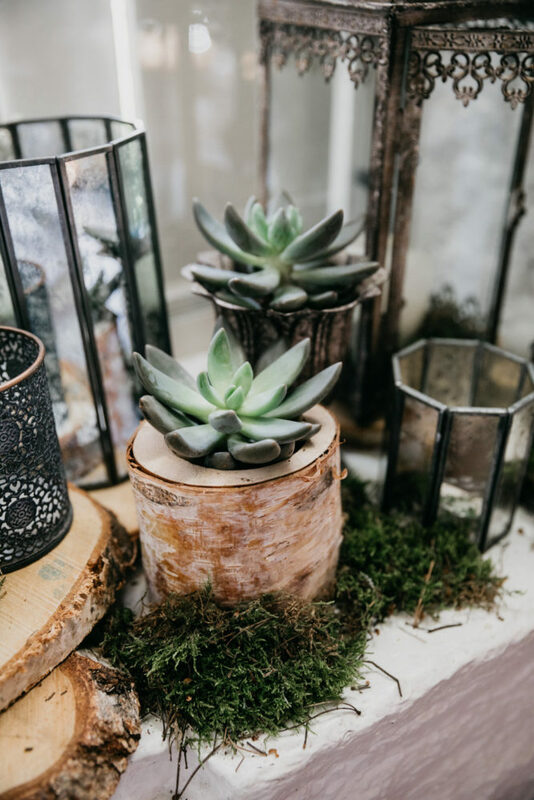 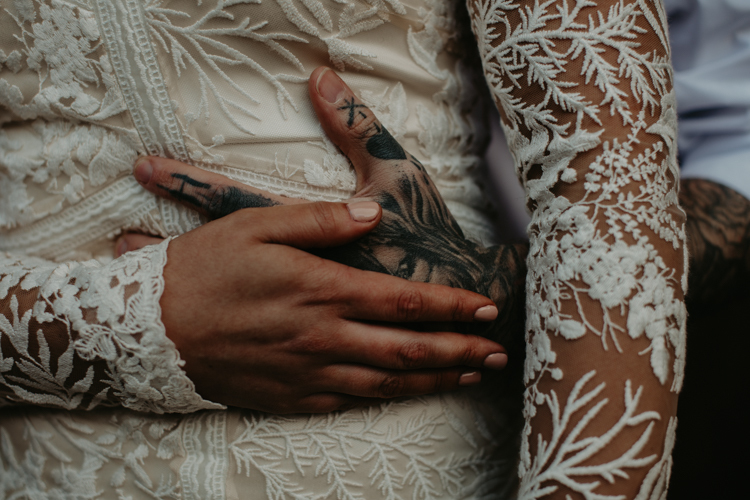 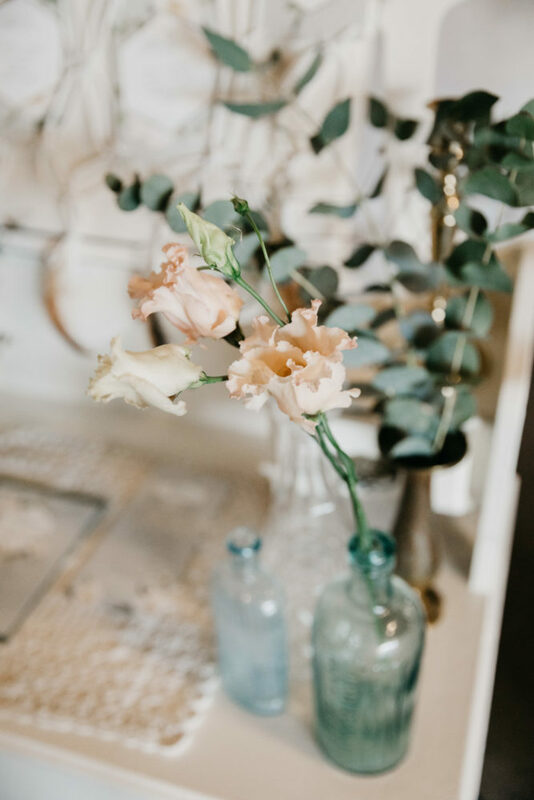 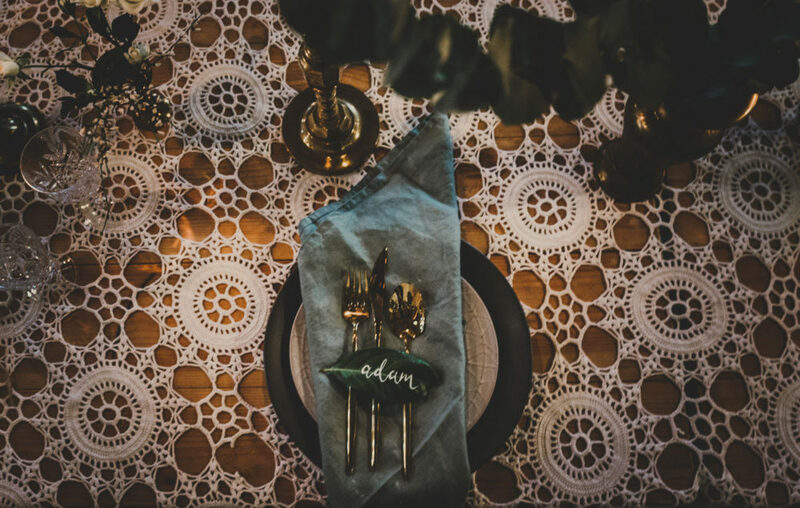 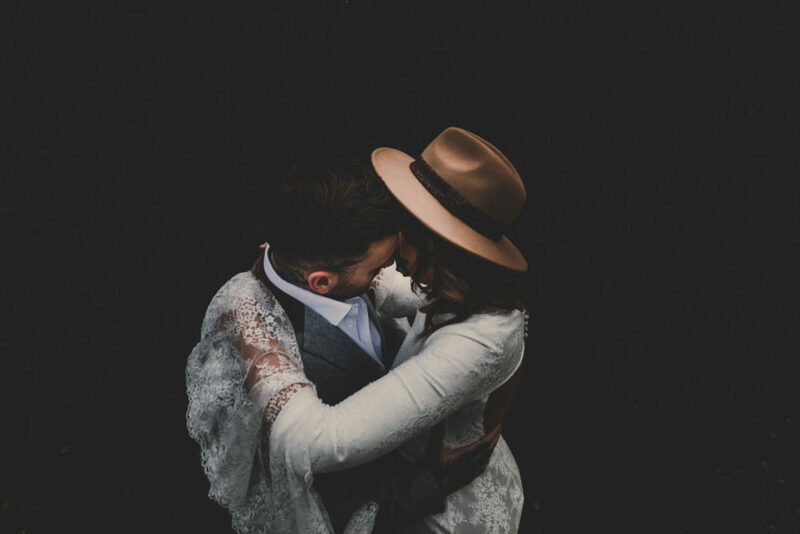 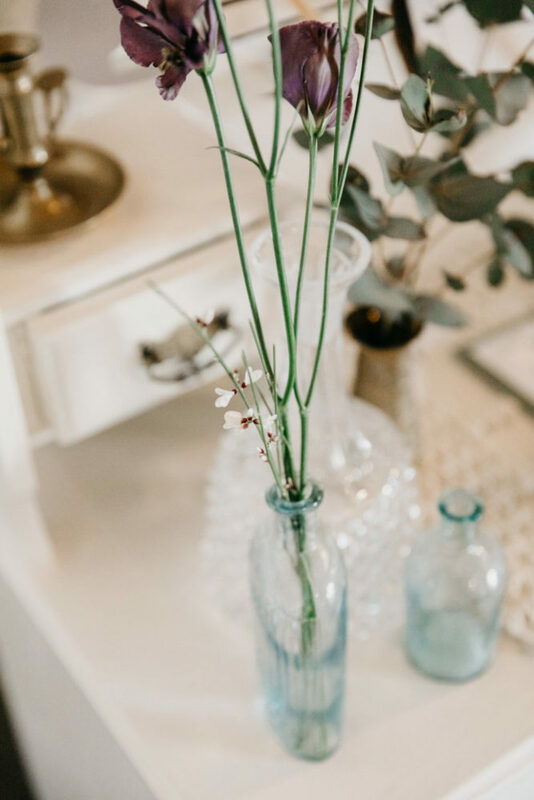 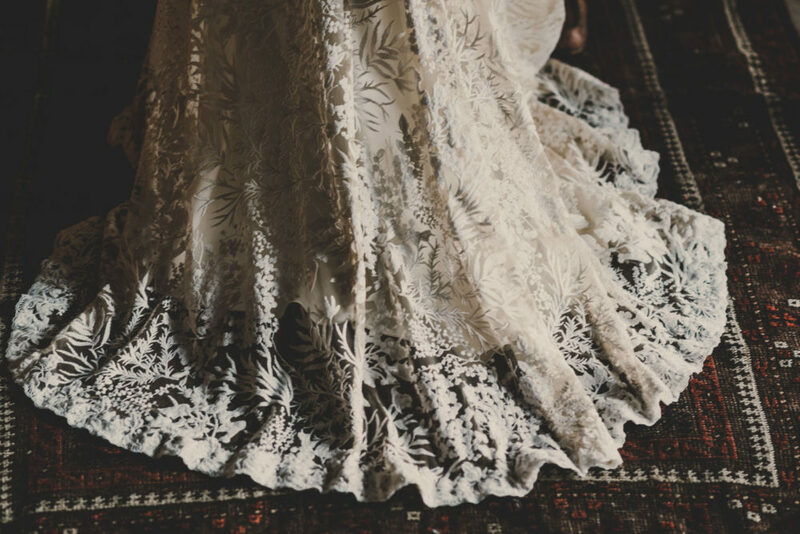 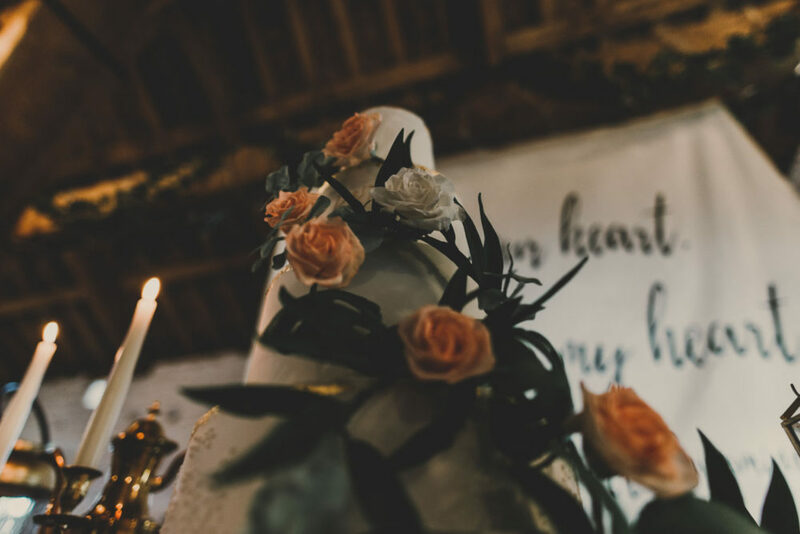 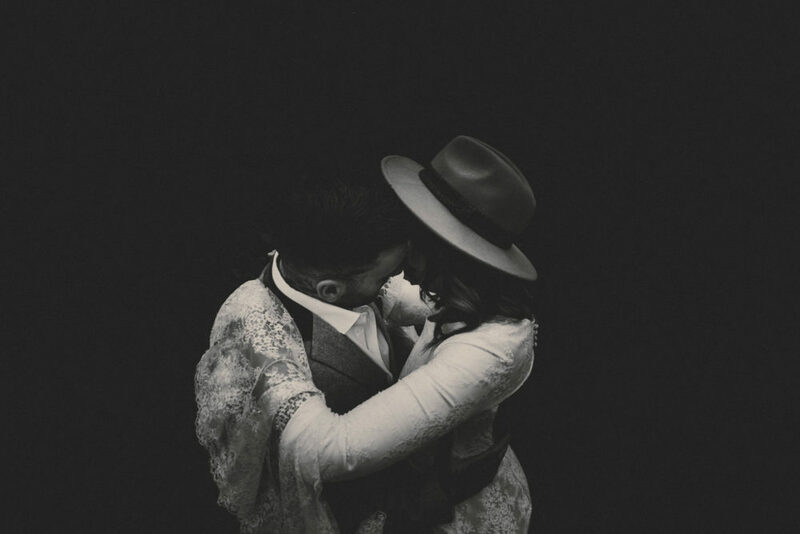 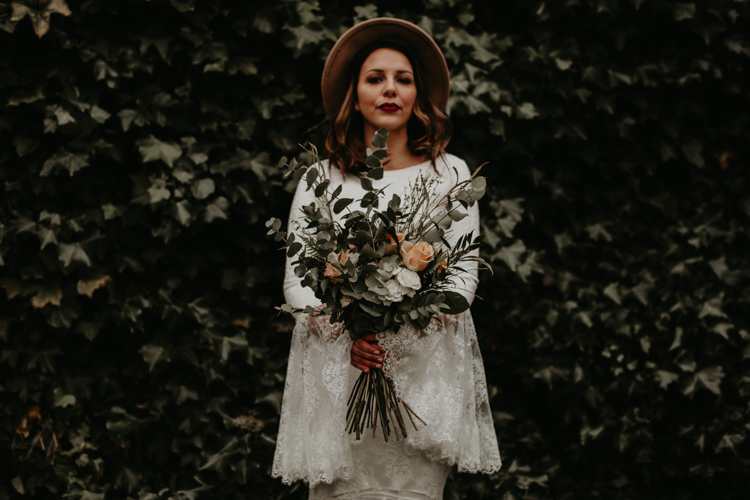 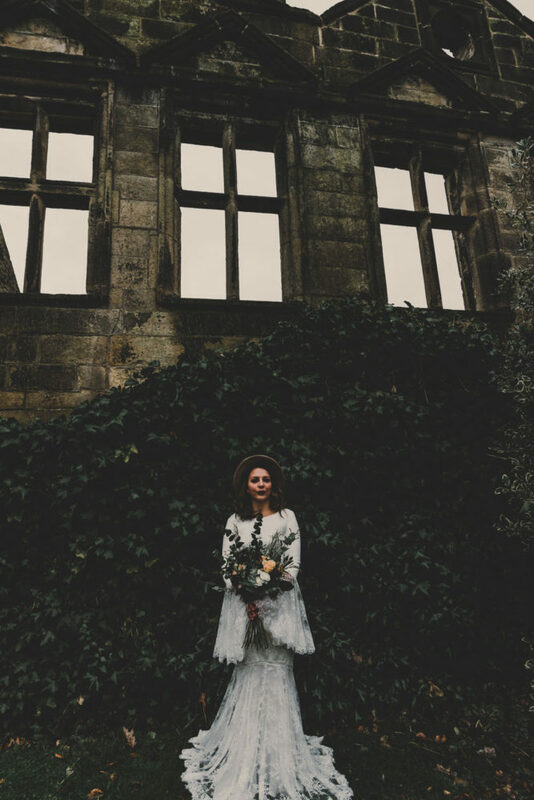 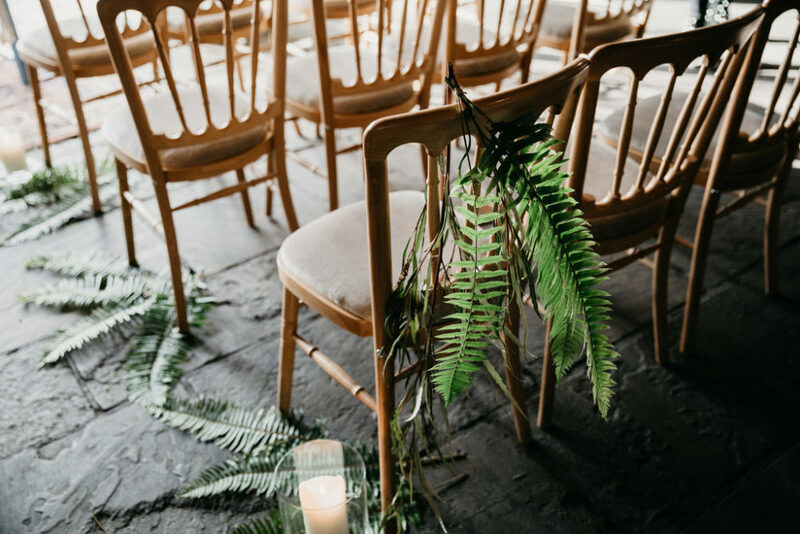 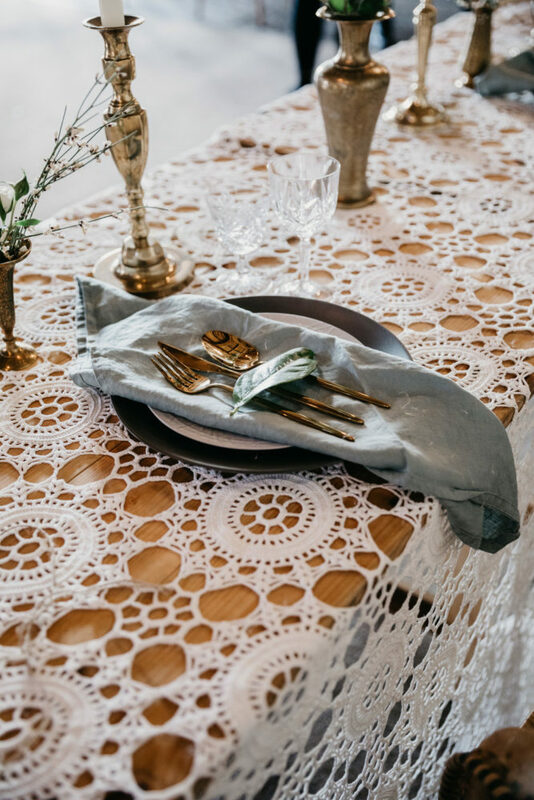 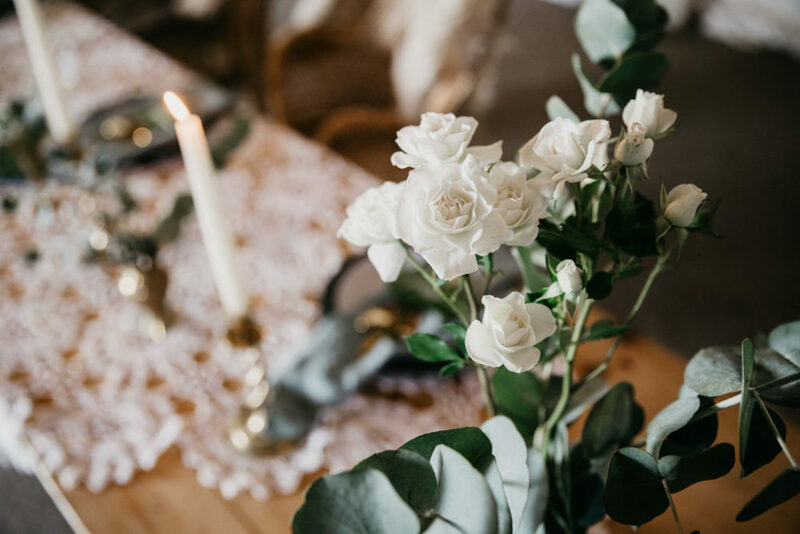 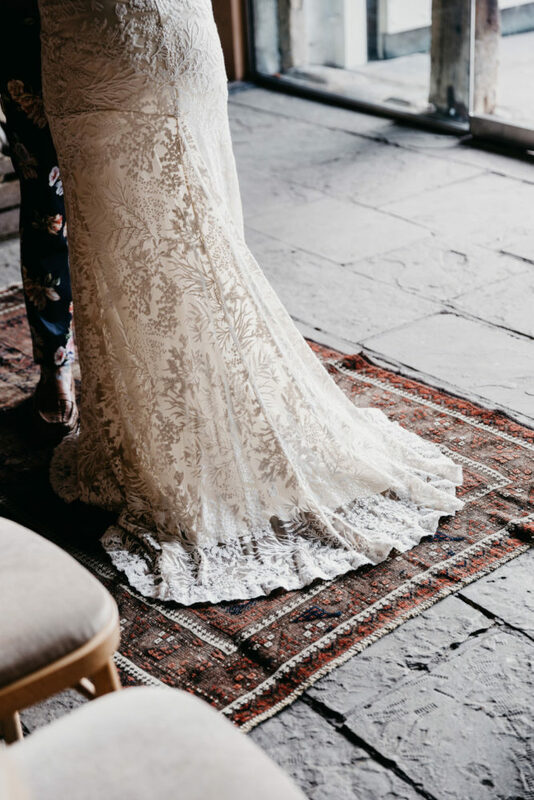 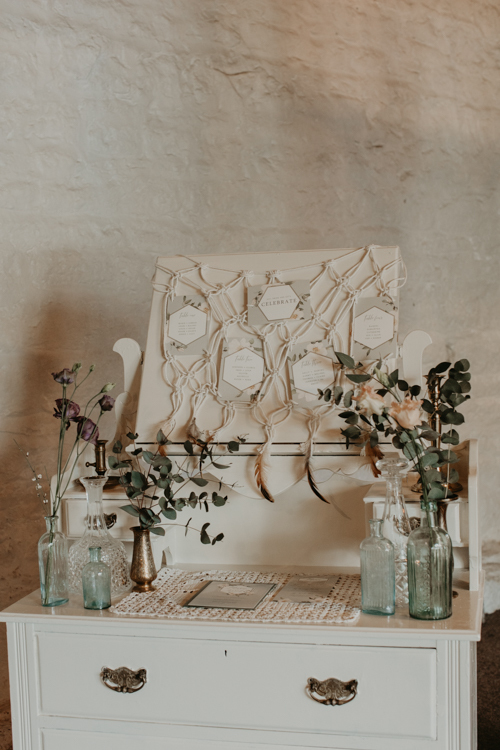 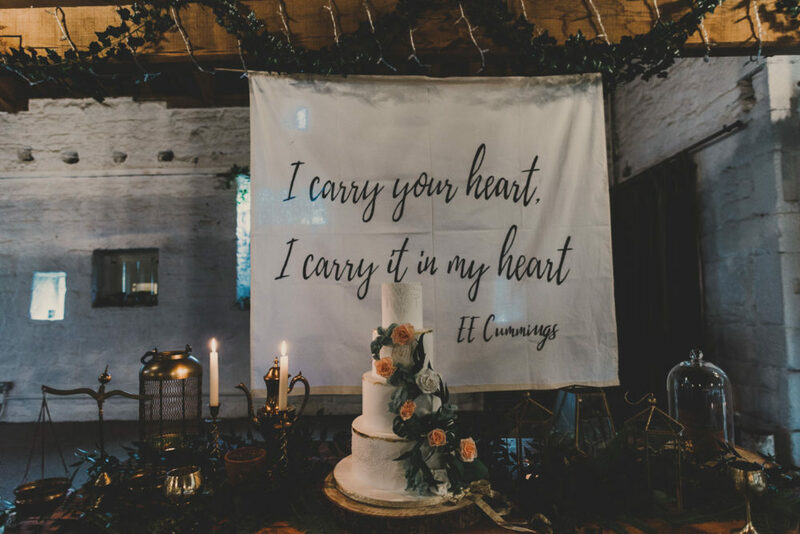 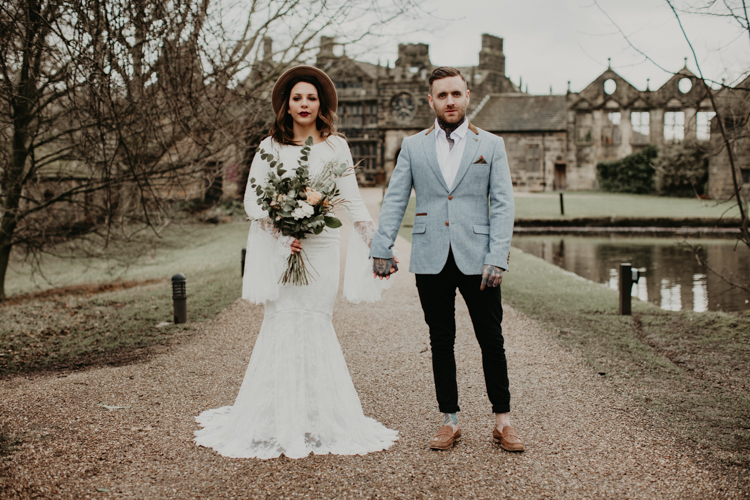 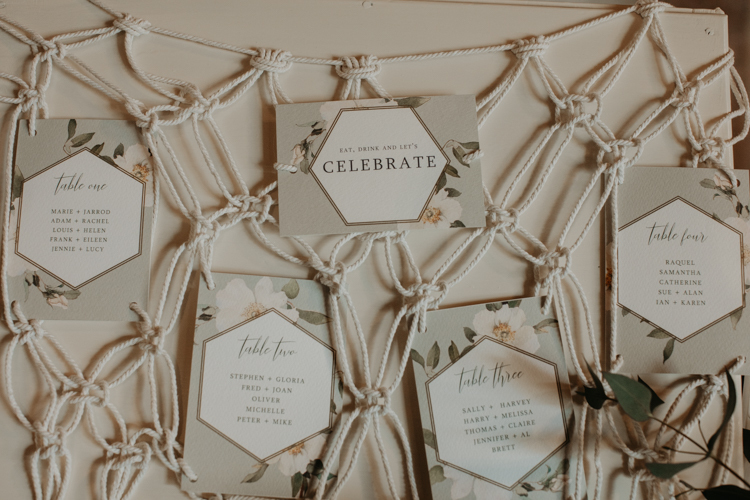 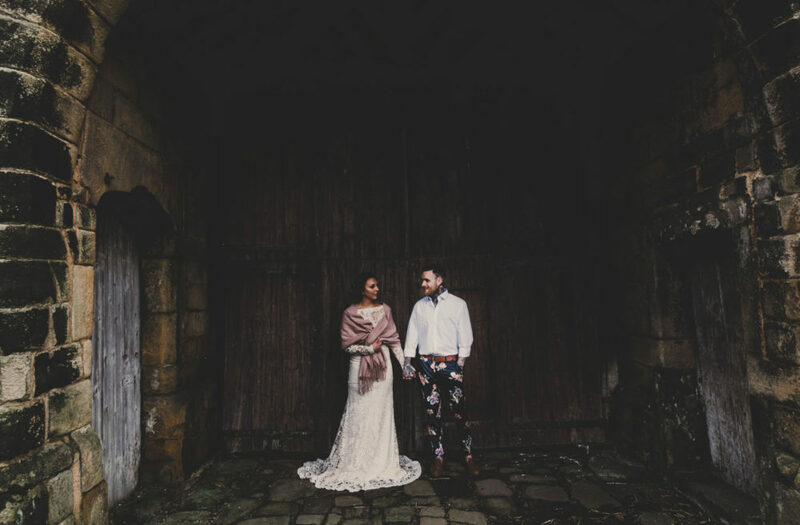 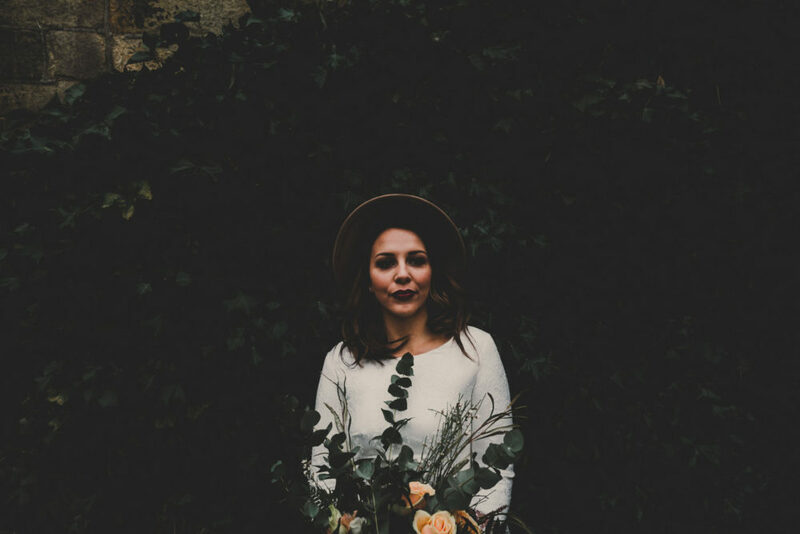 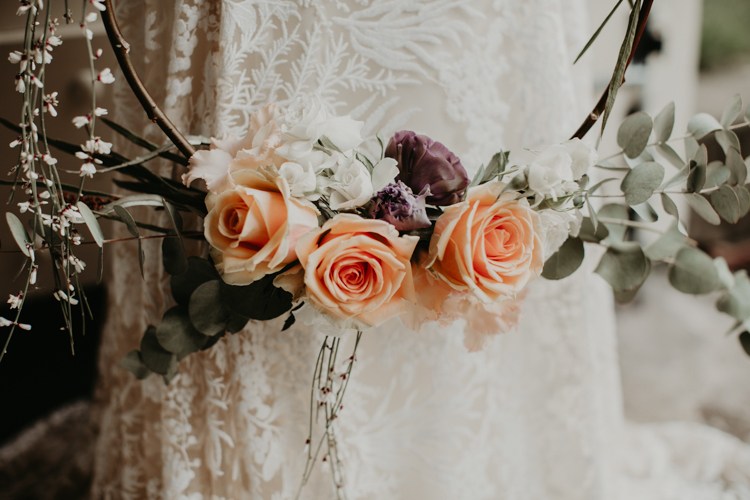 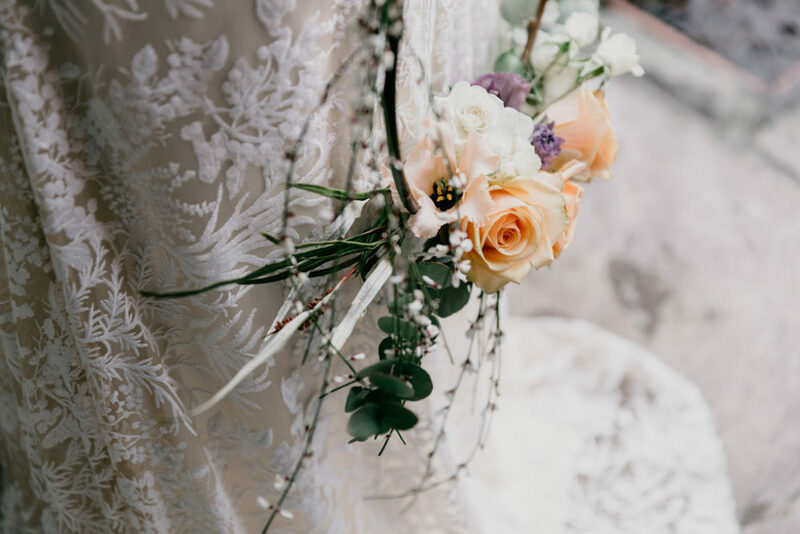 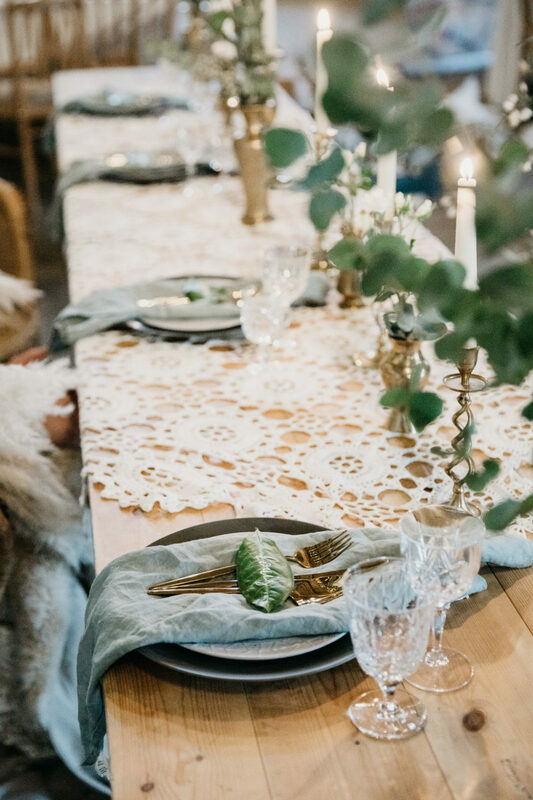 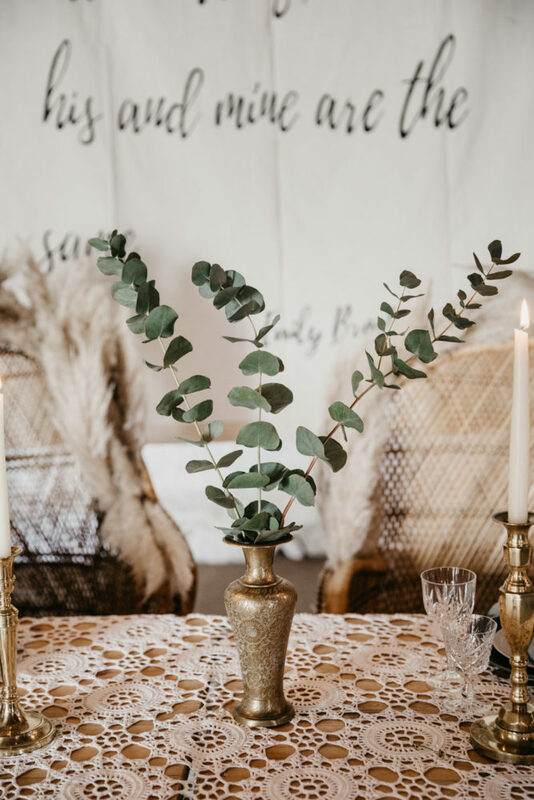 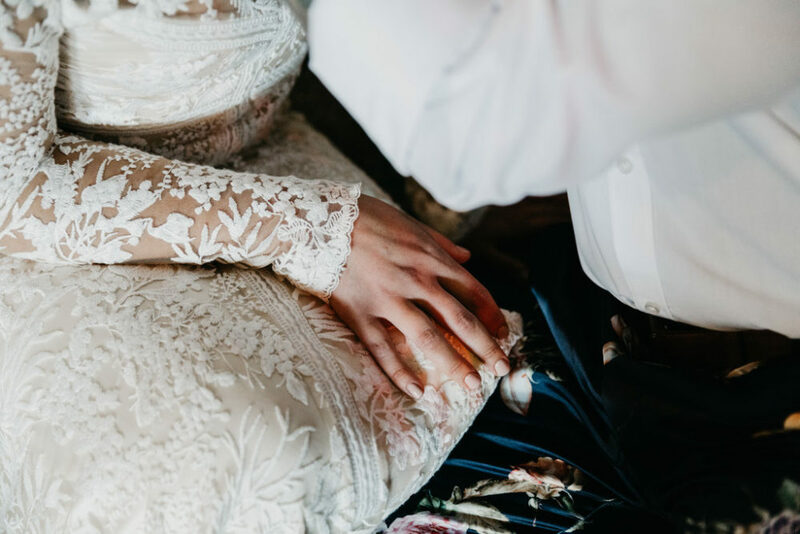 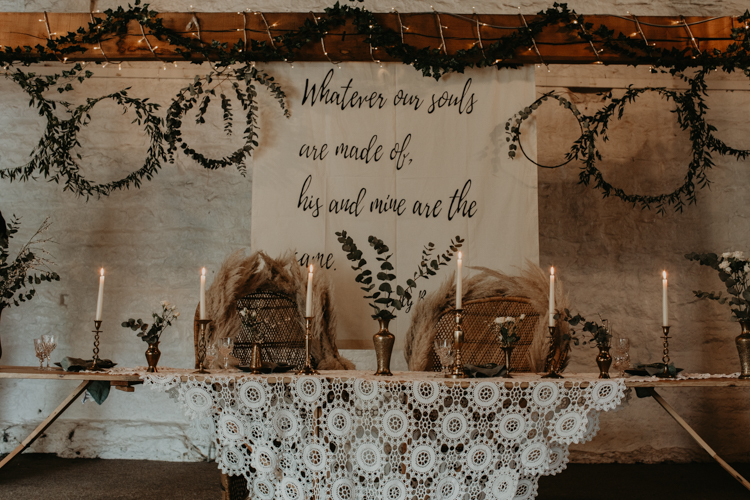 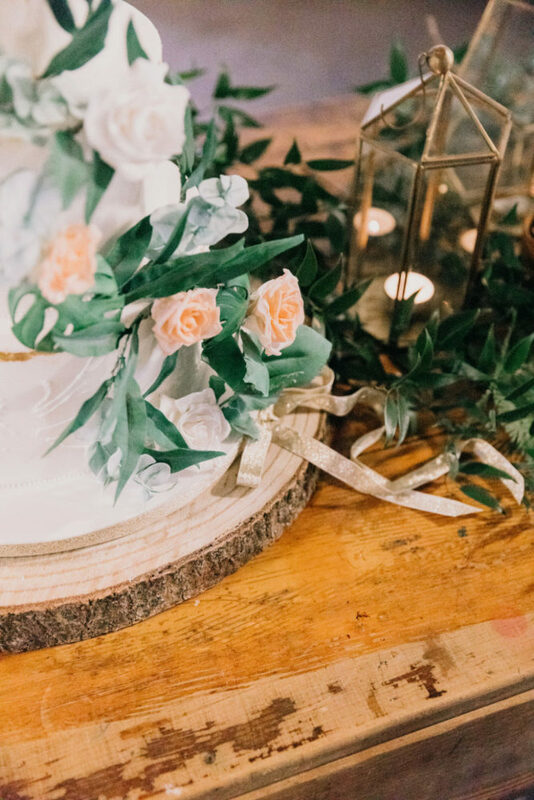 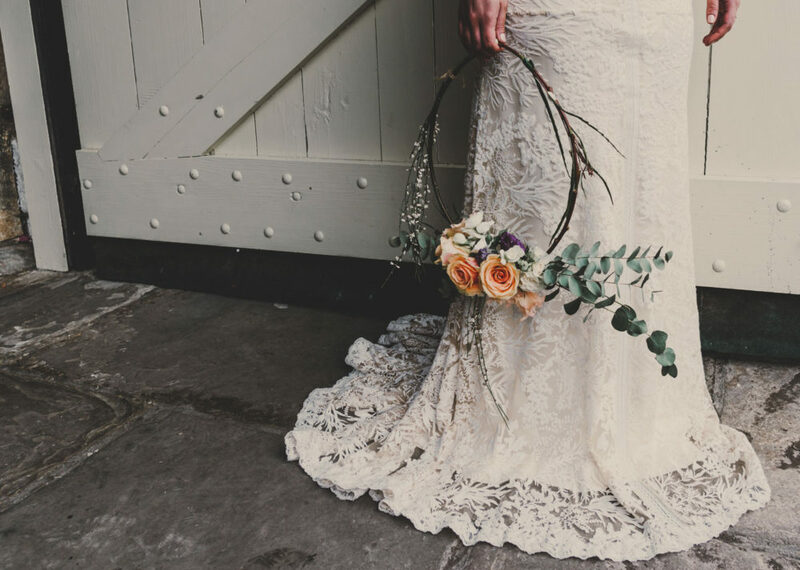 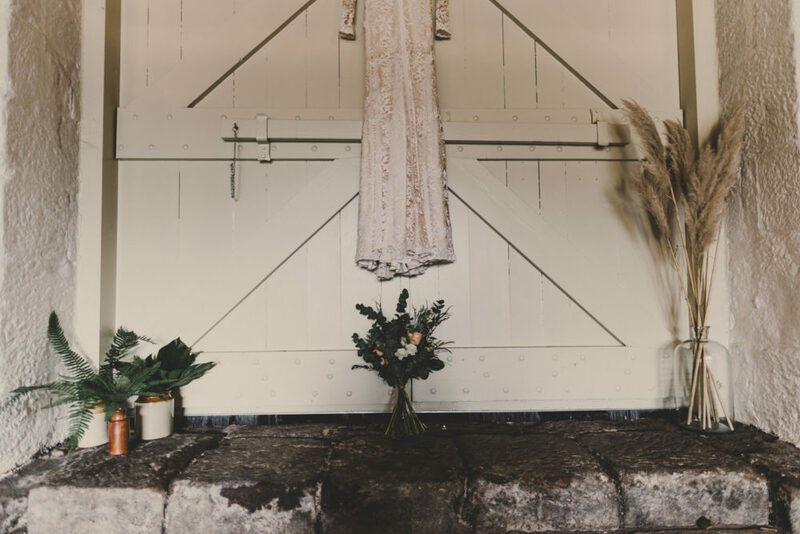 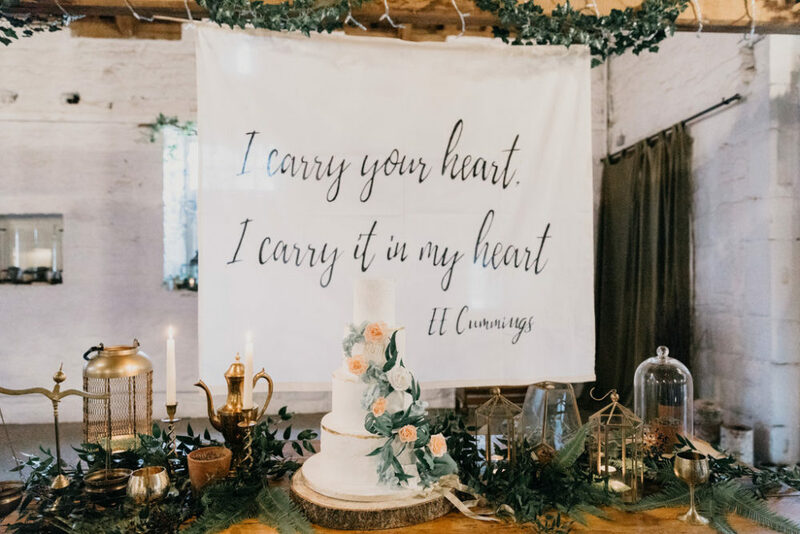 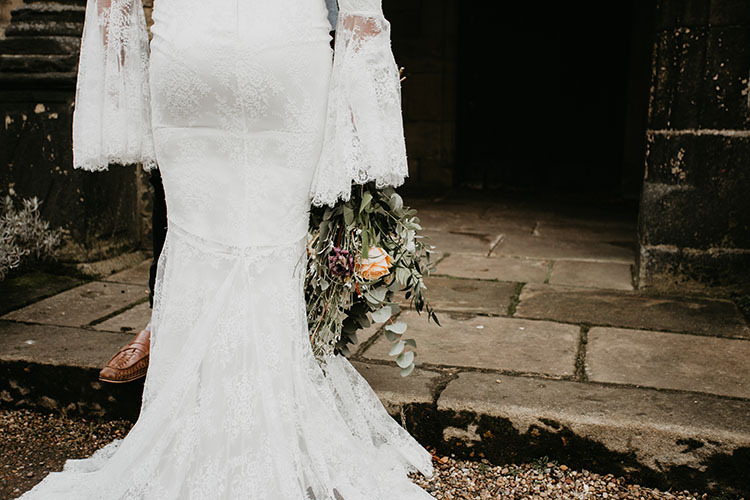 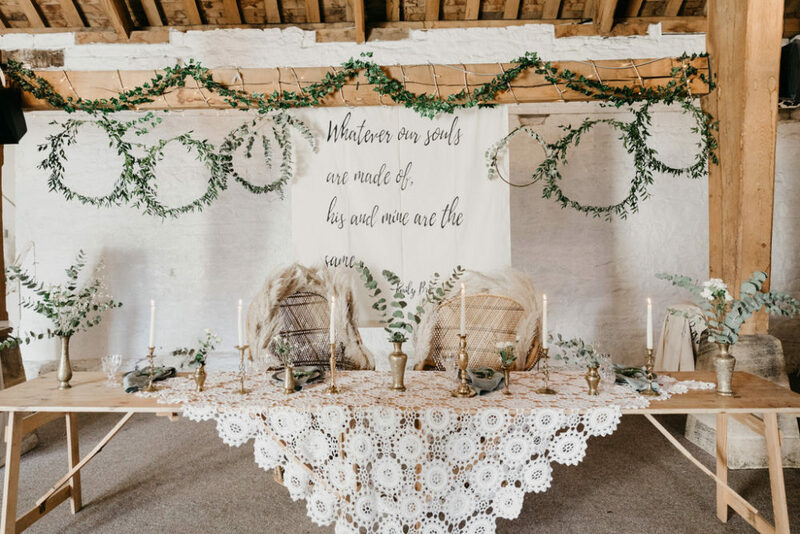 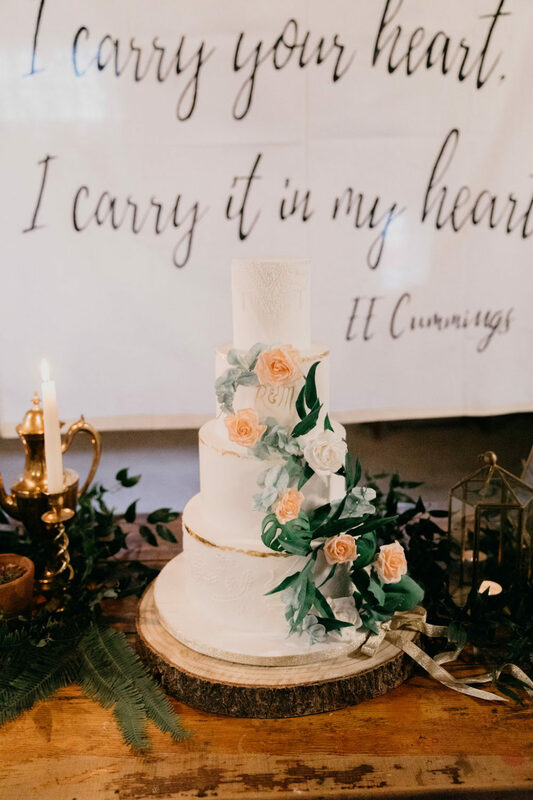 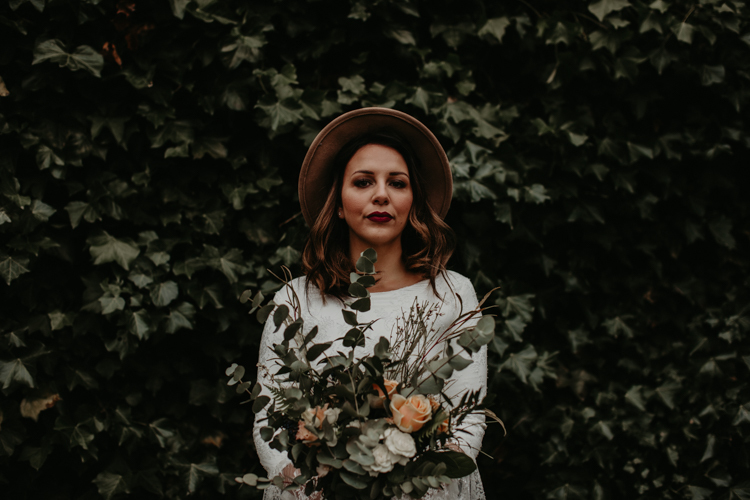 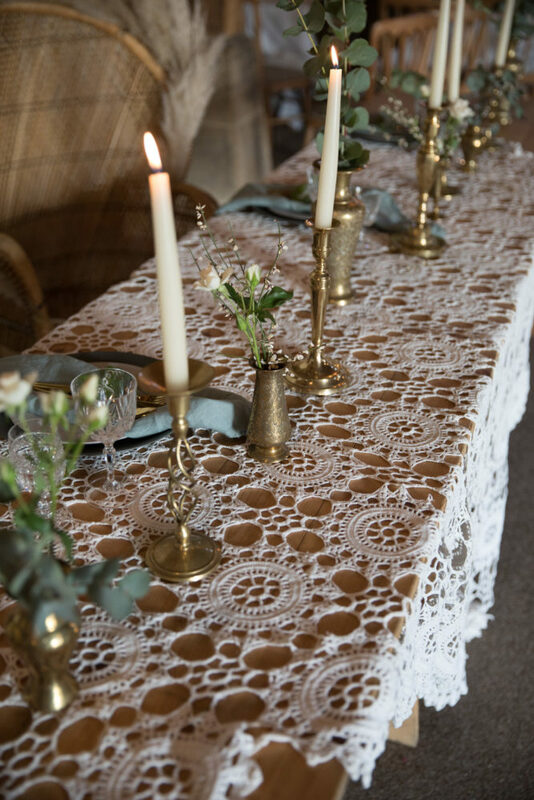 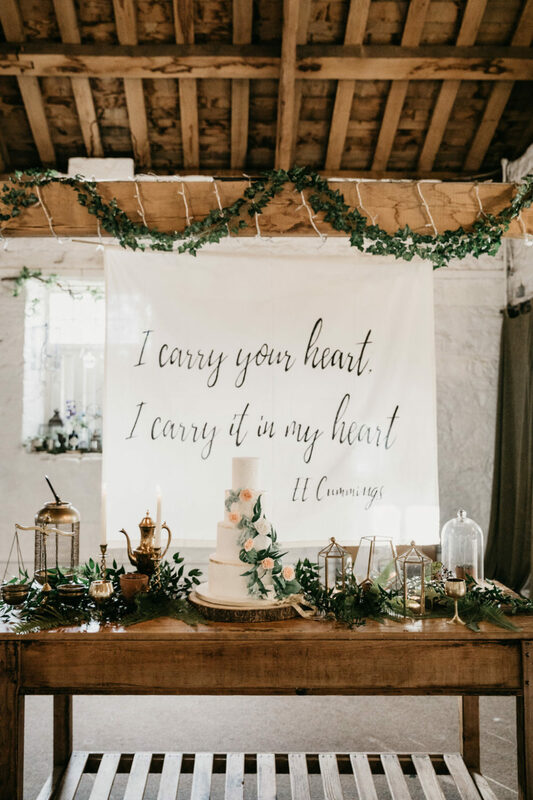 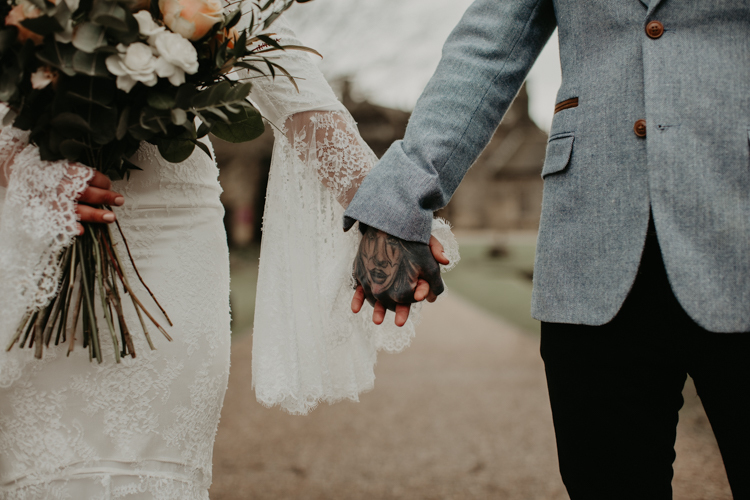 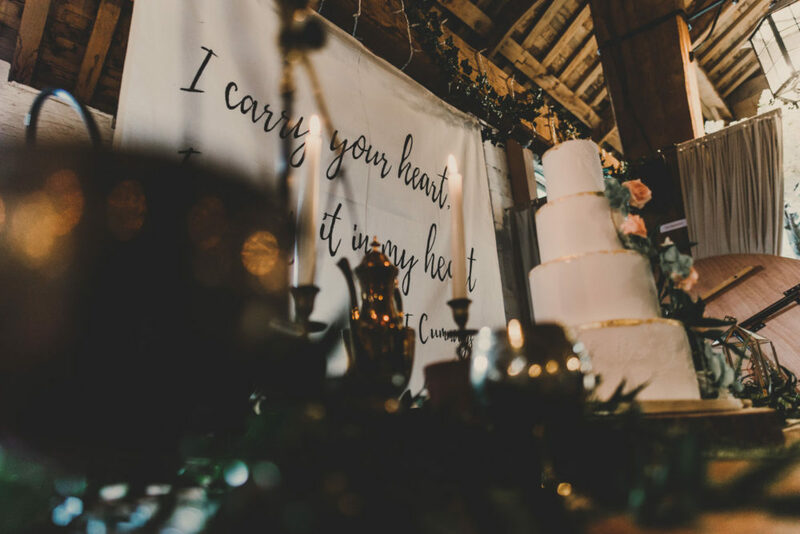 I love all the potential elements of a bohemian wedding so was delighted when Rachael of The Burtons Photography invited me to collaborate on a bohemian styled shoot jointly hosted by her and Jade Maguire Photography. 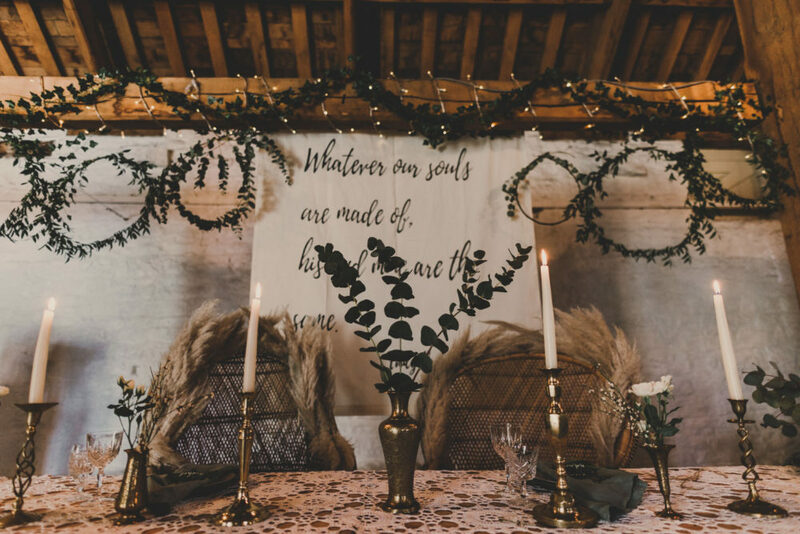 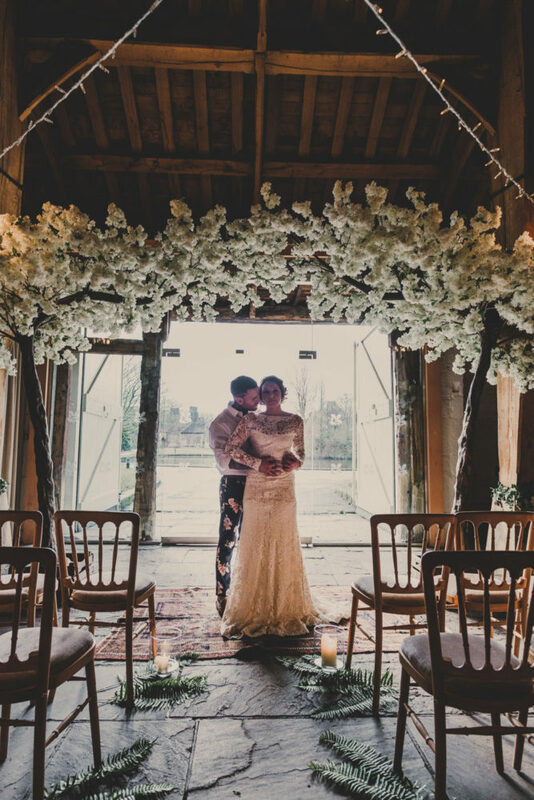 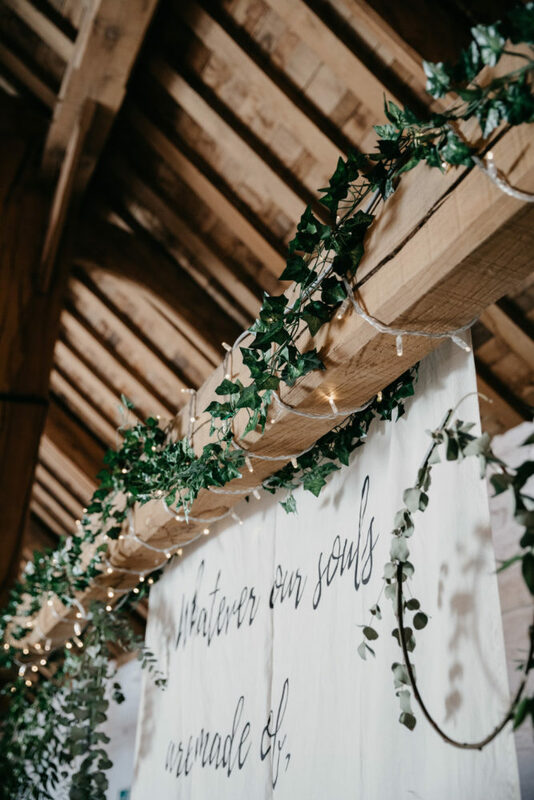 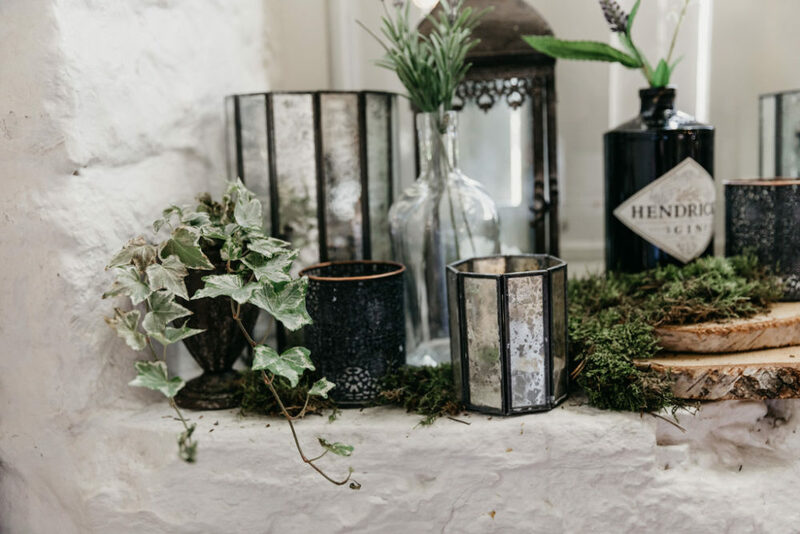 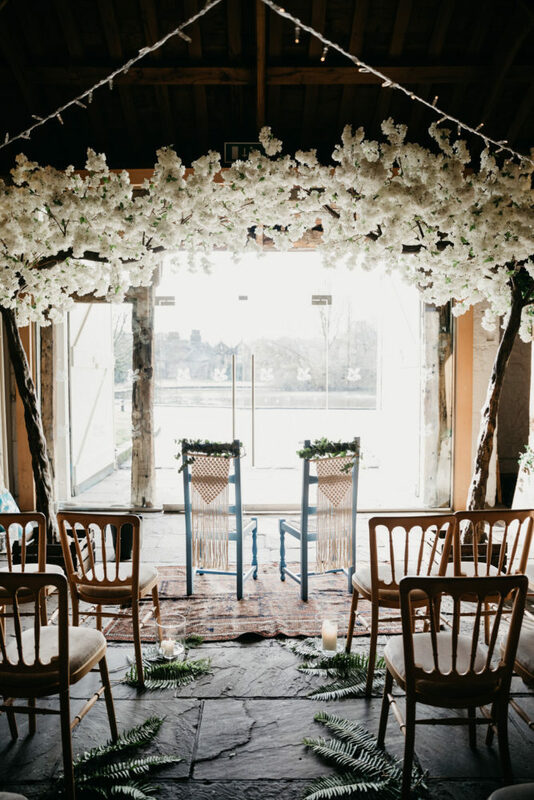 Styling: Wild at Heart Hire and Styling, alternative wedding hire and styling, were to dress the venue. 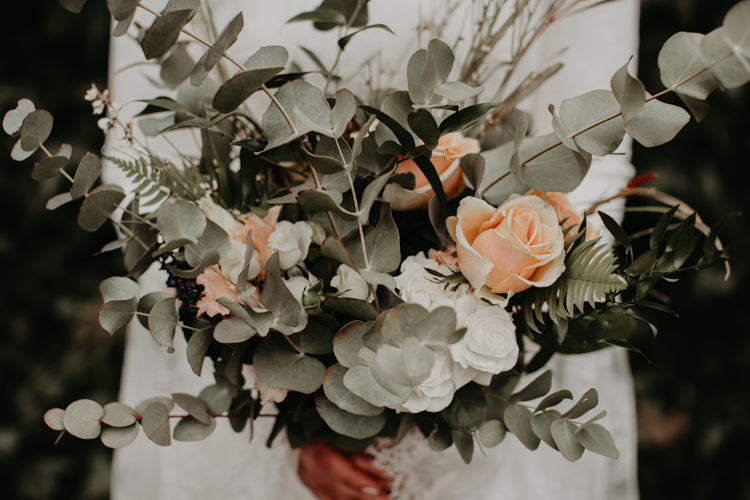 Flowers: Bizzi Lizzi was to provide the floral styling. 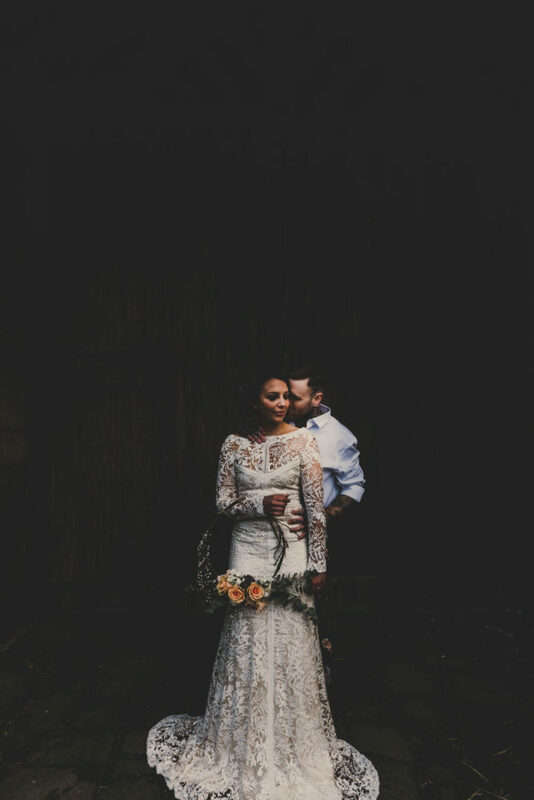 Dresses: Also on board was cool independent dress designer and founder of Kindling Bridal, Kerri Walton. 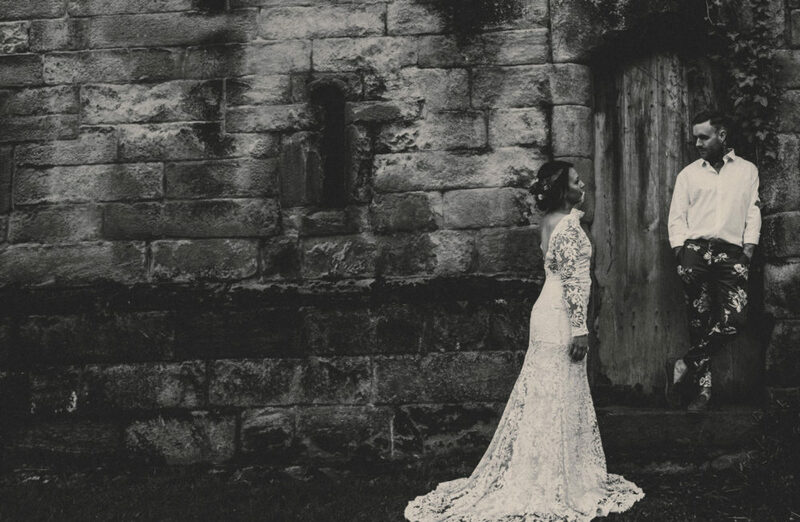 Kerri provided two of her beautiful dresses for the shoot. 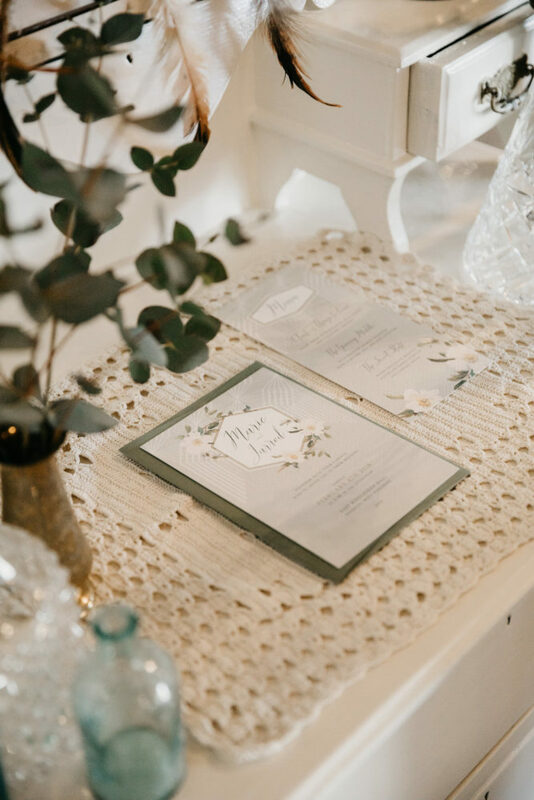 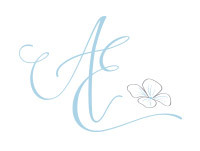 Stationery: Vanilla Retro, Wedding Stationery Designer was to design the table plan. 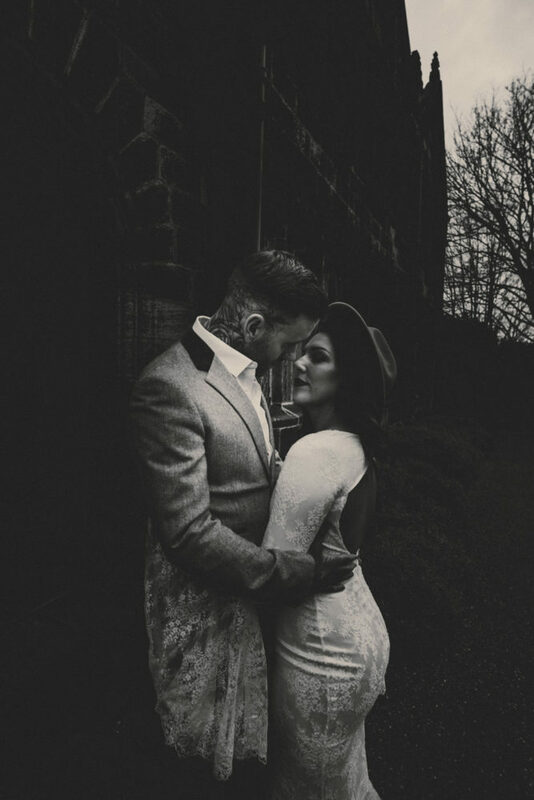 Make-up: Amy George Make Up Artist was to perform her magic! 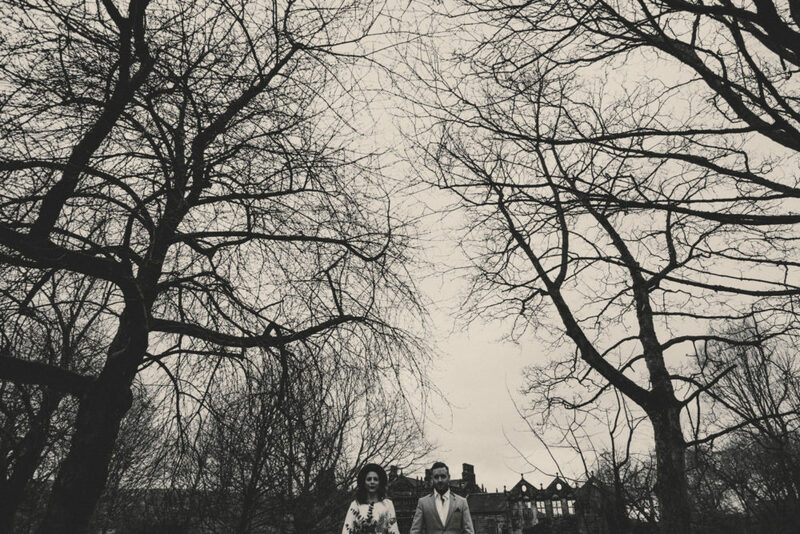 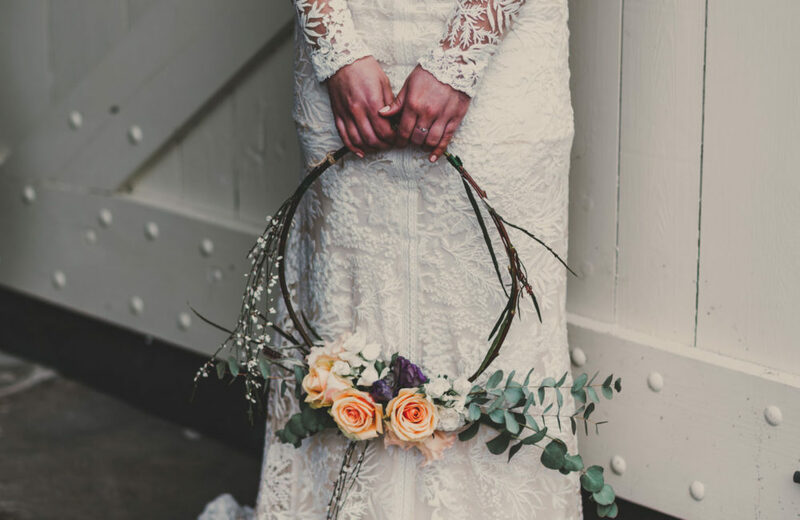 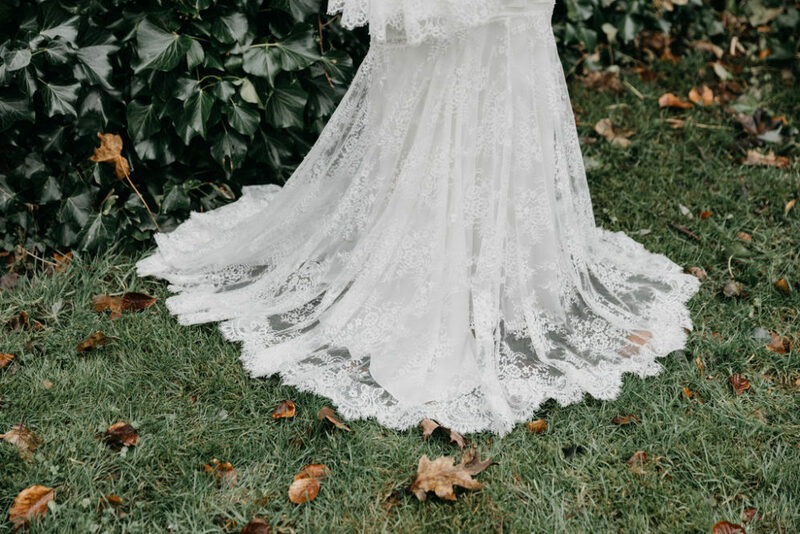 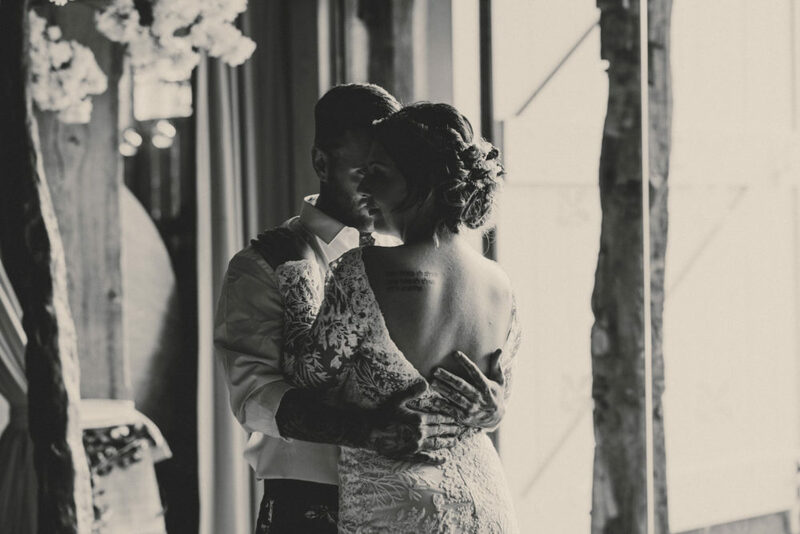 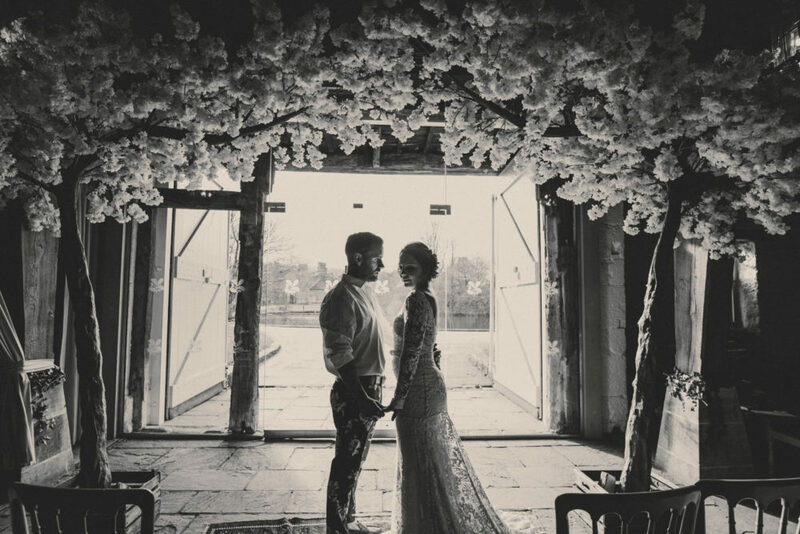 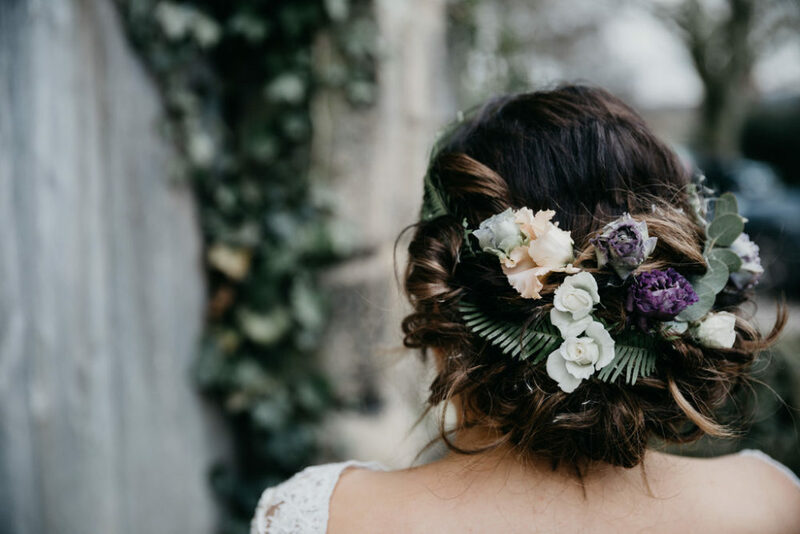 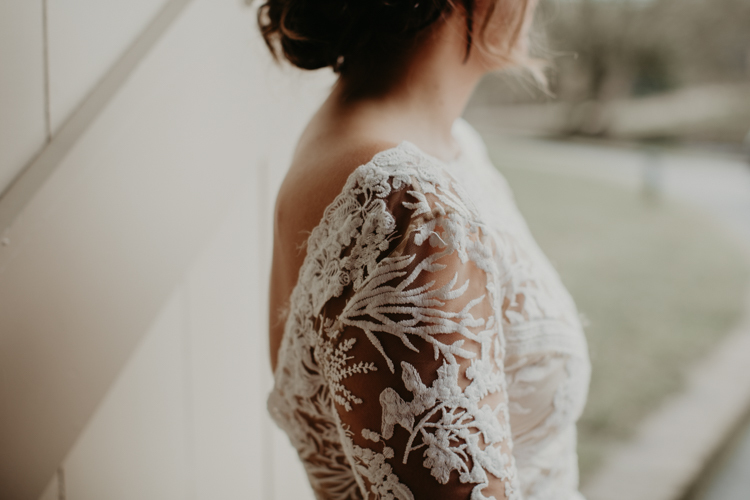 Hair: With her 20+ years experience in the hairdressing and fashion industry, Emily Hawkes Bridal Hair Stylist, was to create the beautiful hairstyles. 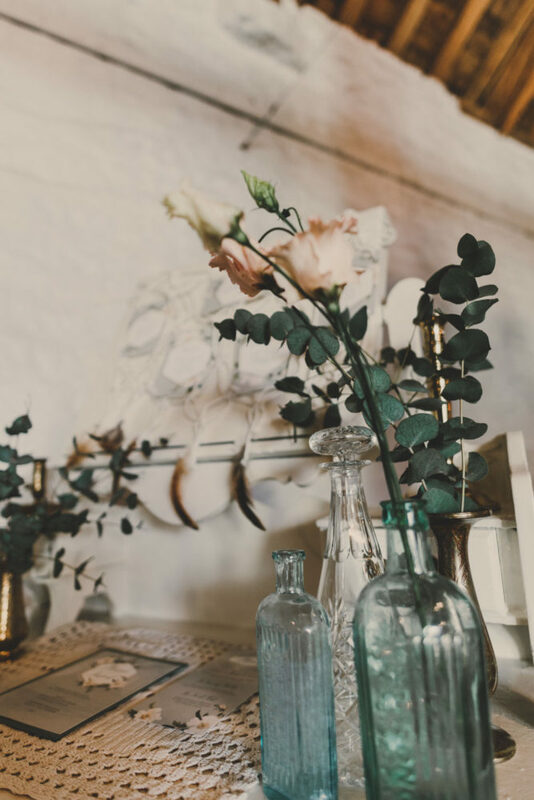 A lot of creative talent in one room! 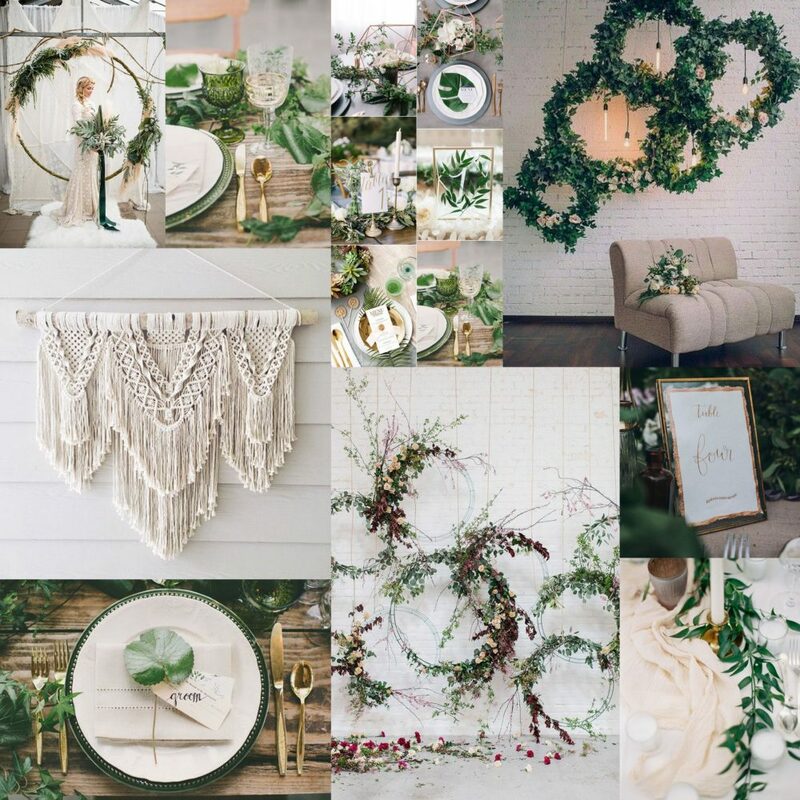 The venue was to be styled with calligraphy wall hangings, peacock chairs, macramé chair back covers, brass tableware, and lots of foliage! 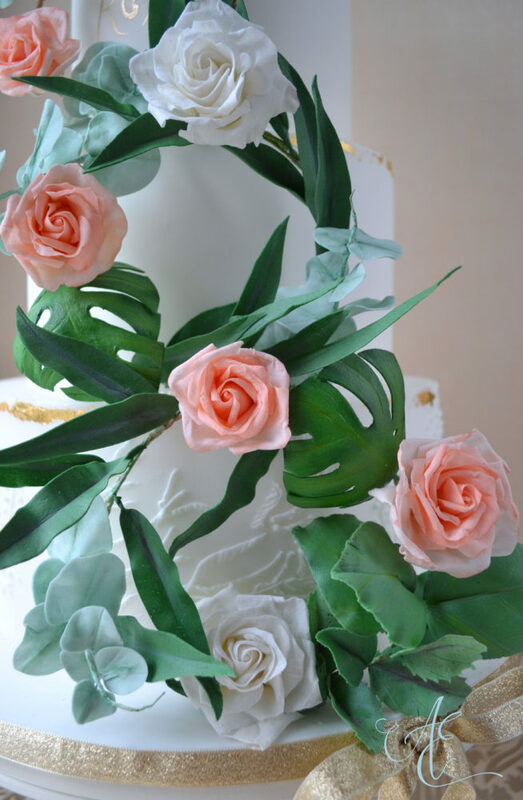 Firstly, taking inspiration from the floral wreaths within the pinterest board, I decided my cake would have, not one, but, three! 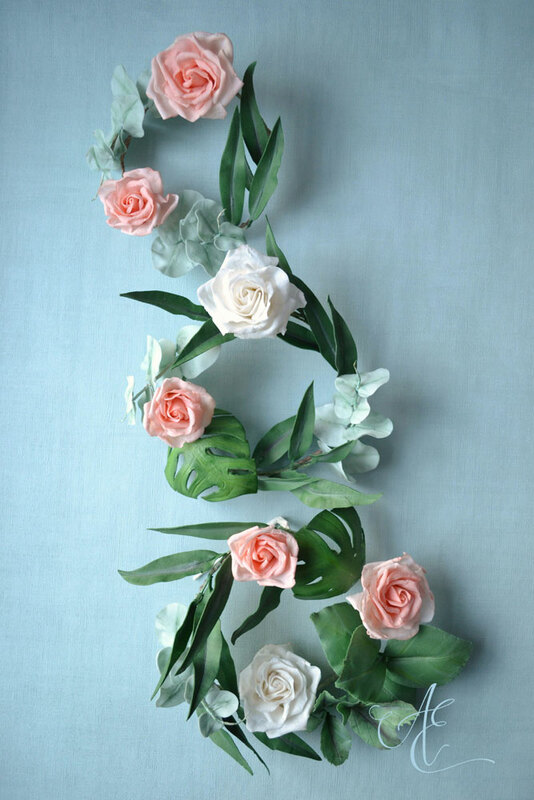 flower and foliage wreaths. 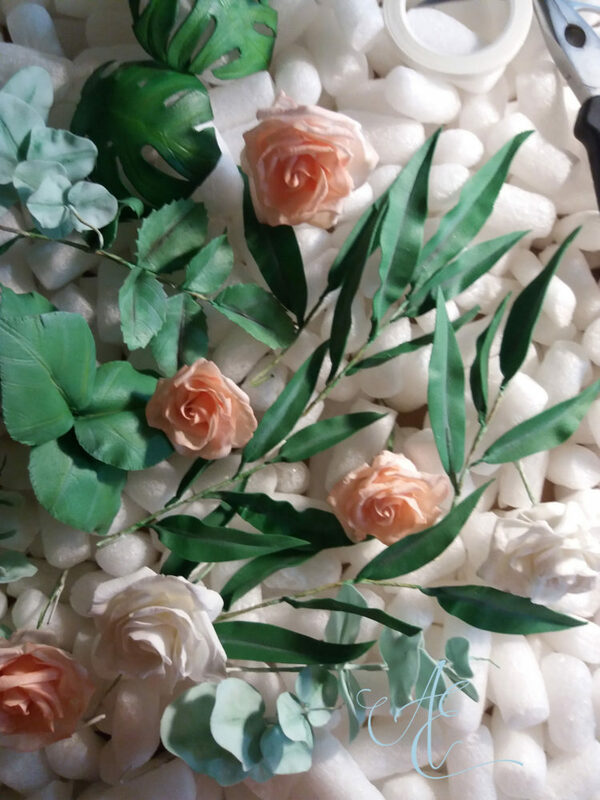 Of course, I made sure they were graduated and on the diagonal to avoid a traffic-light-look! 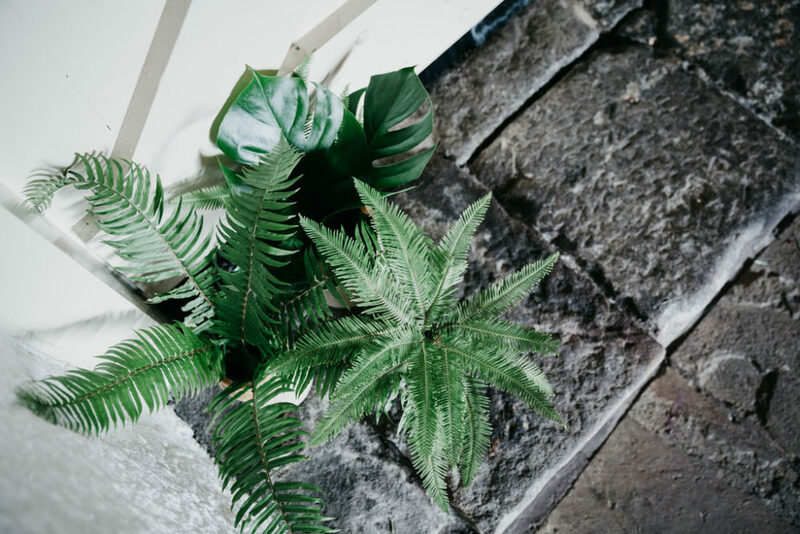 Next, to make it informal and eclectic I wanted to include a variety of foliage. 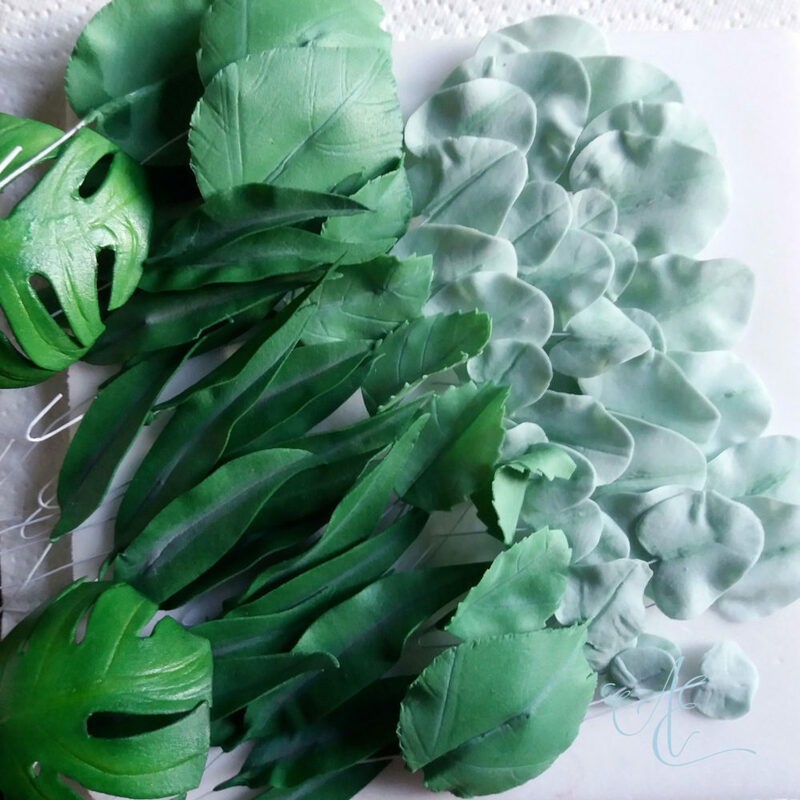 Ultimately, being led by the Pinterest board, I chose eucalyptus, olive, monstera and hydrangea leaves. 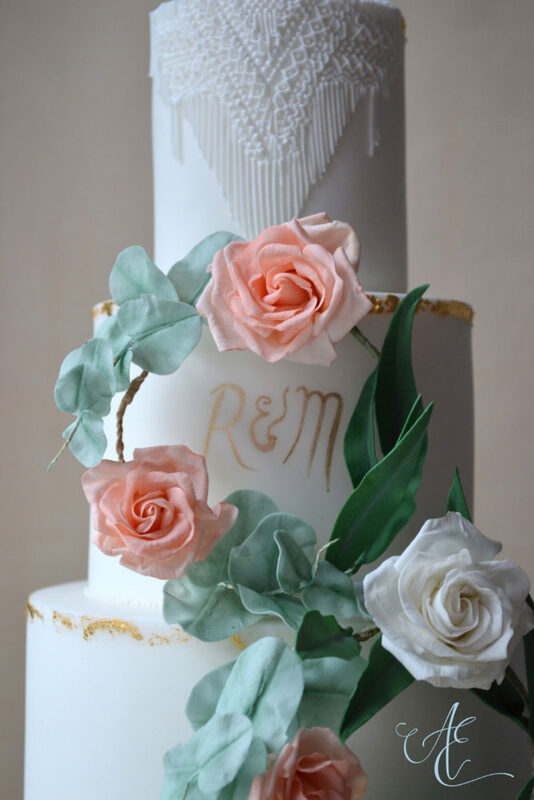 For the flowers, I kept it simple and elegant with pale peach and white roses along with a few rose leaves. 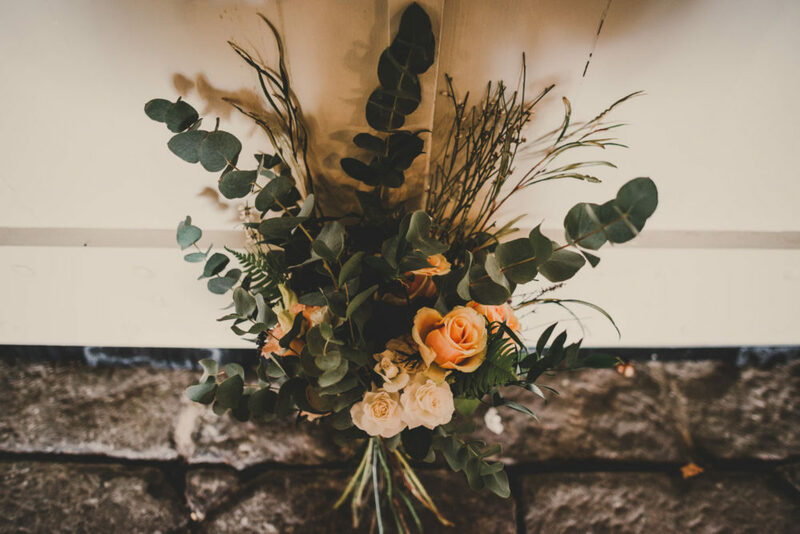 Not only does peach go well with brassware but also, design-wise, a three-colour combination (peach/green/white) is always good. 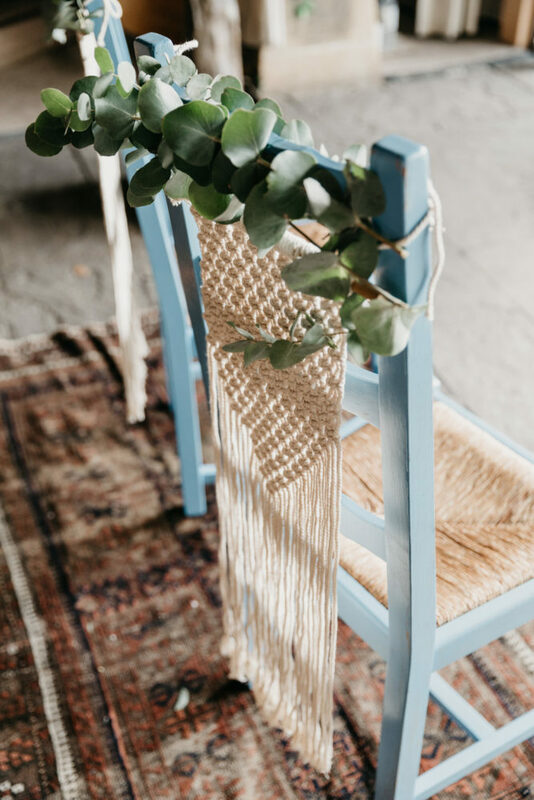 Then, on to my absolute favourite element – the macramé. 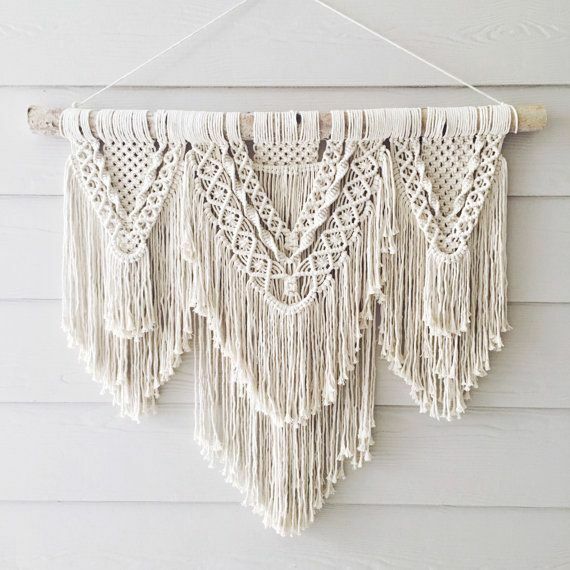 I adore macramé, its intricacy, its informality, its seemingly limitless variations and its cosiness (taking me back to all my macramé plant hangers in my first house). 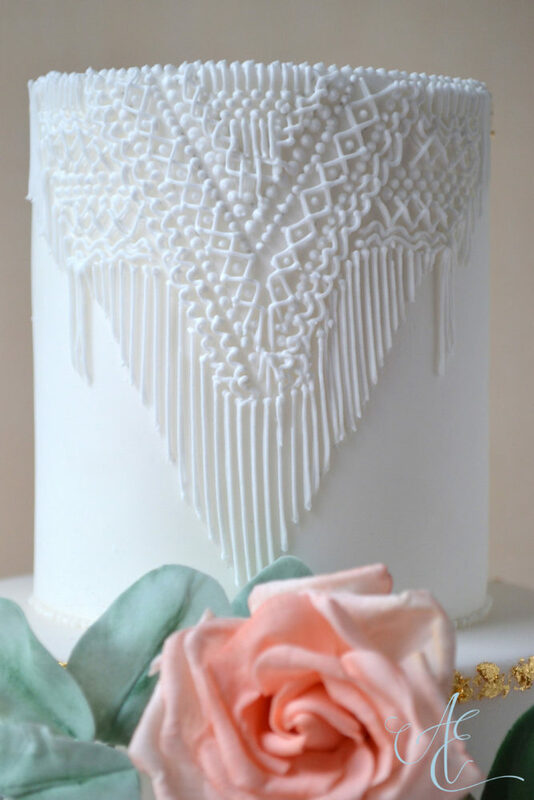 So, taking inspiration from this image I found on Pinterest… I piped some on the top tier! 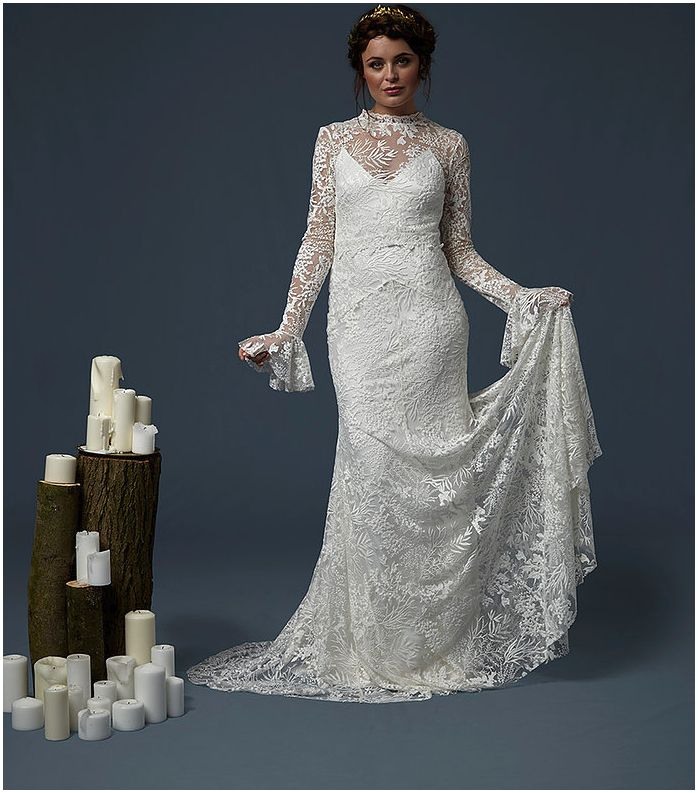 For the shoot the model actually wore Kindling Bridal’s ‘Aquarius‘, featuring the same botanical lace, and ‘Aurora‘ with a delicate floral lace. 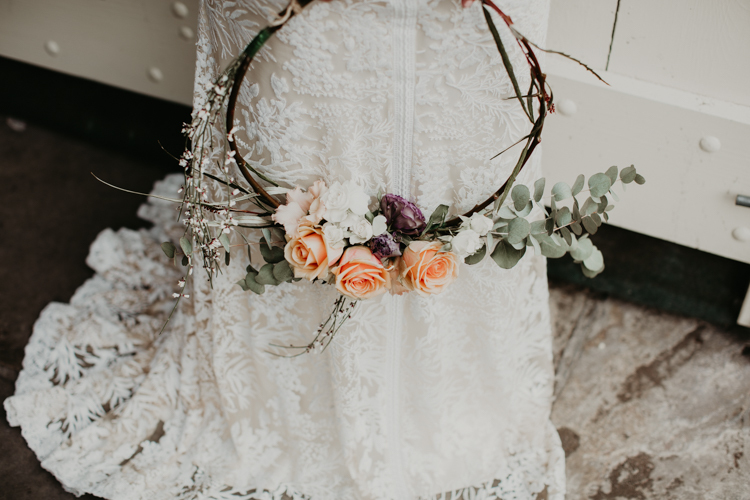 Luna: for the boho bride! 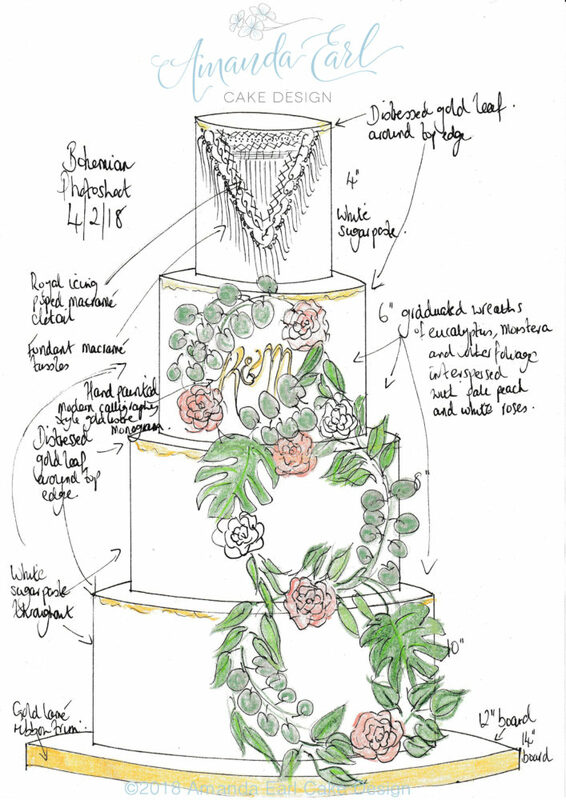 A bohemian style design with wreaths of sugar flowers & foliage, hand piped macramé, 24ct edible gold leaf accents and piping inspired by Kindling Bridal ‘Pegasus’ bridal gown. 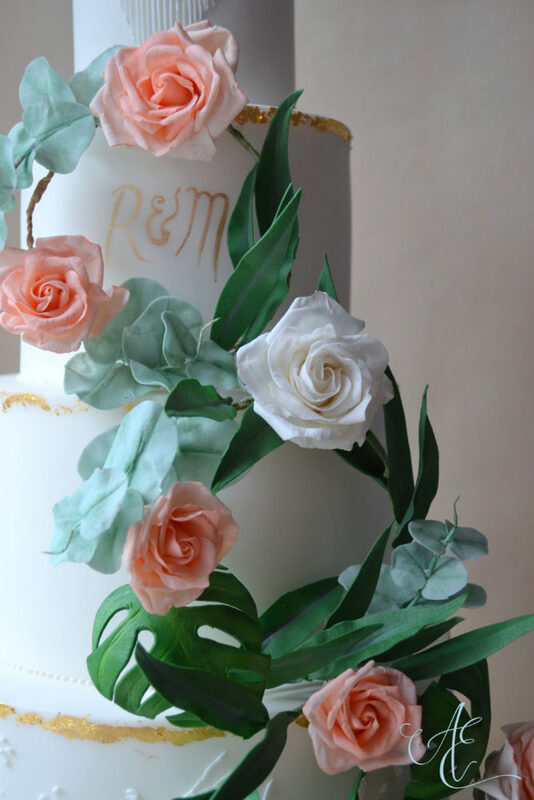 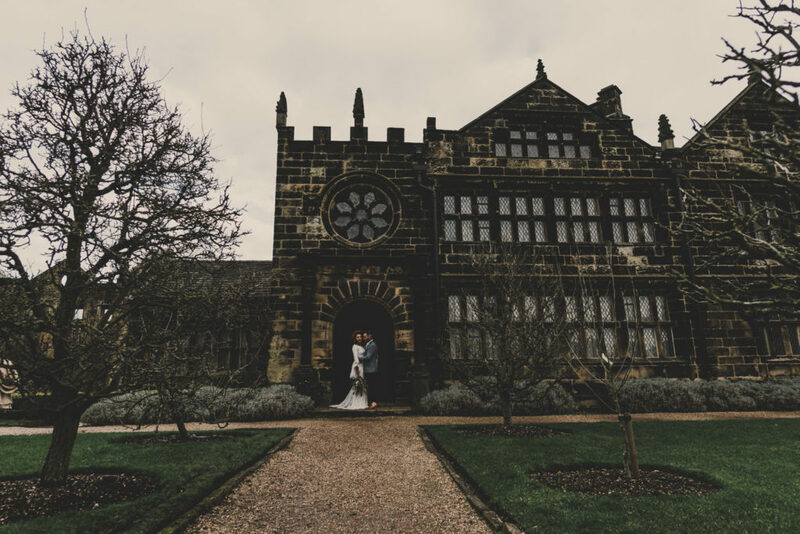 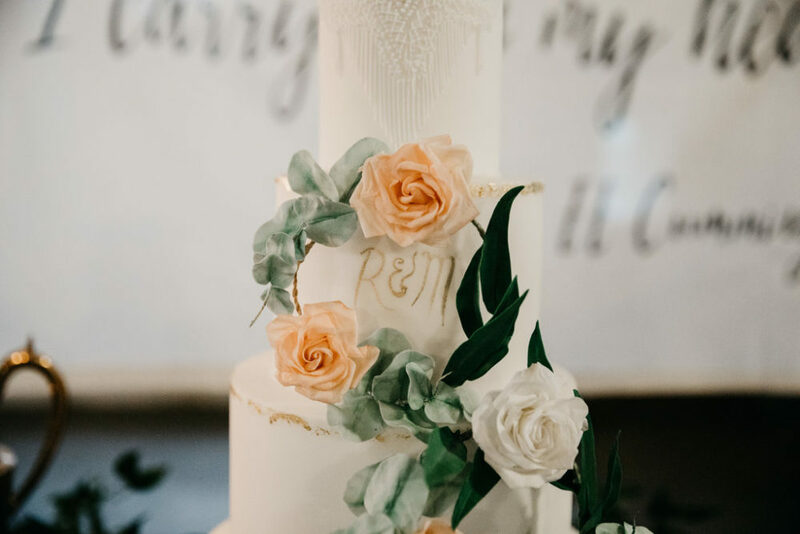 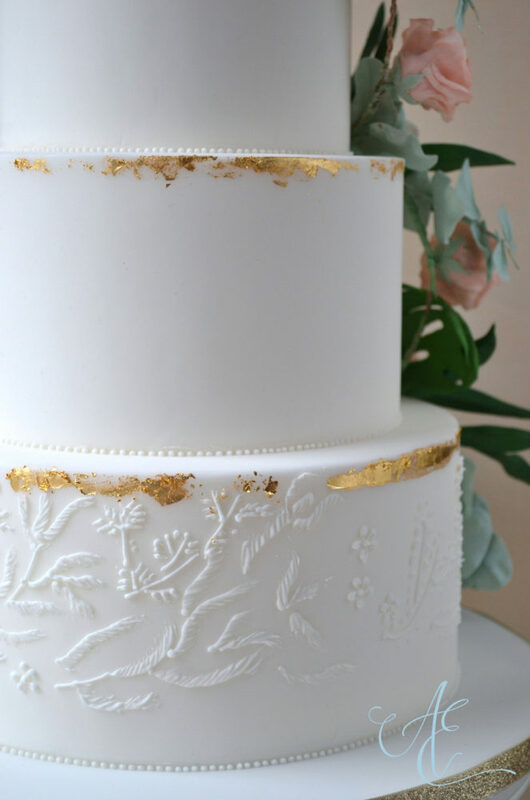 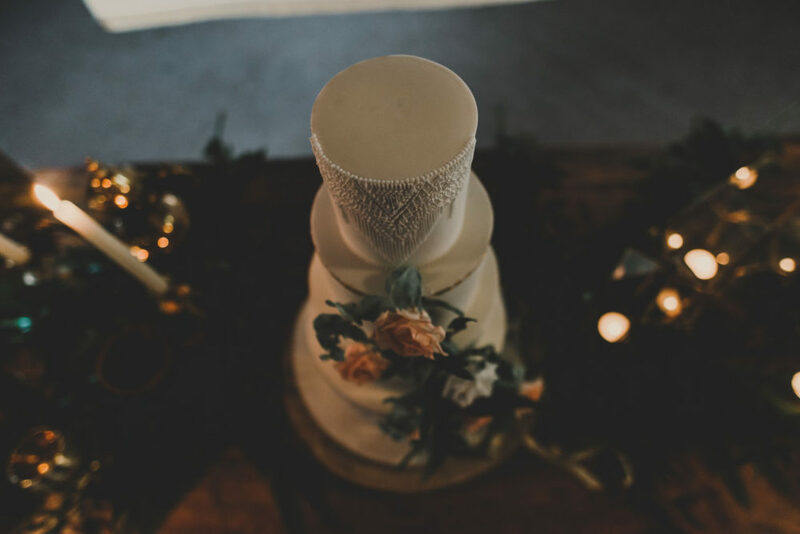 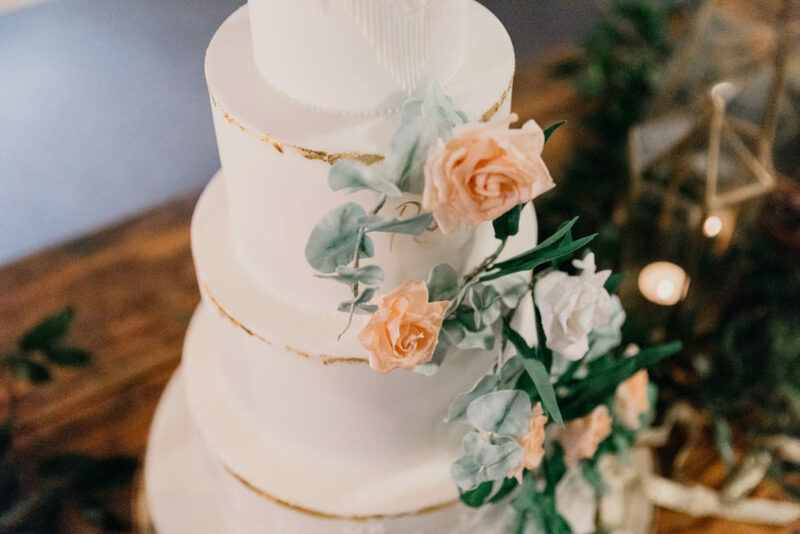 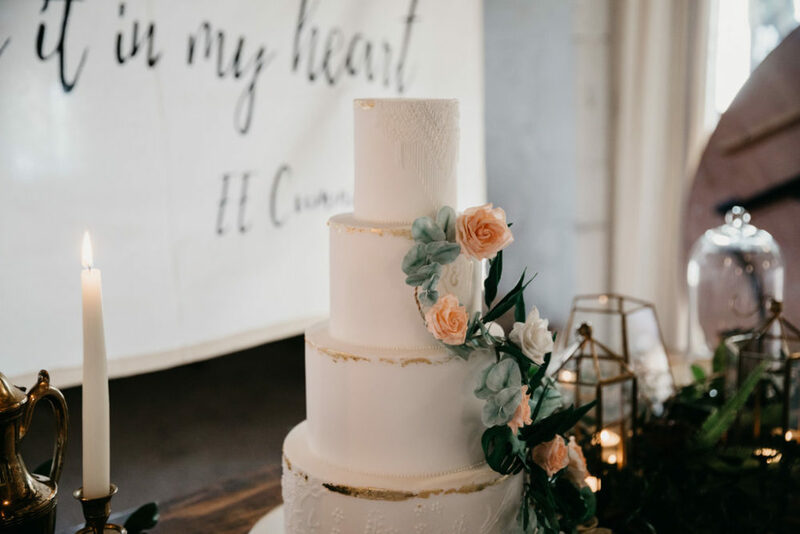 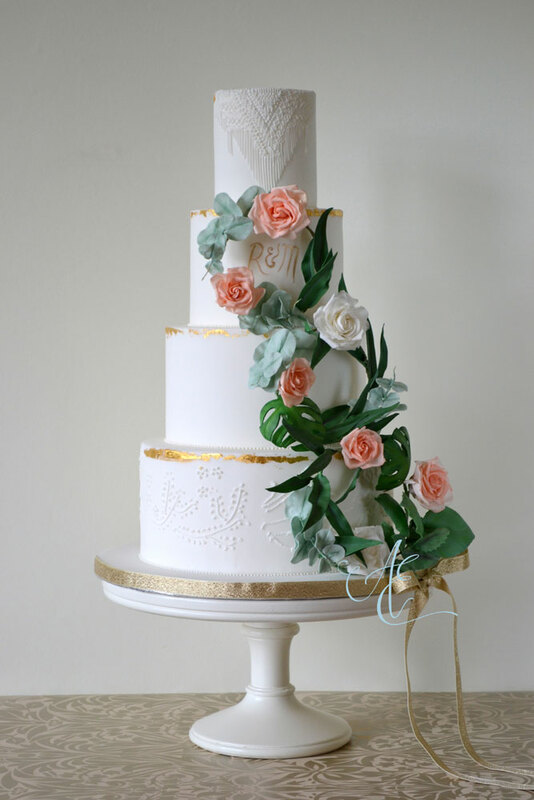 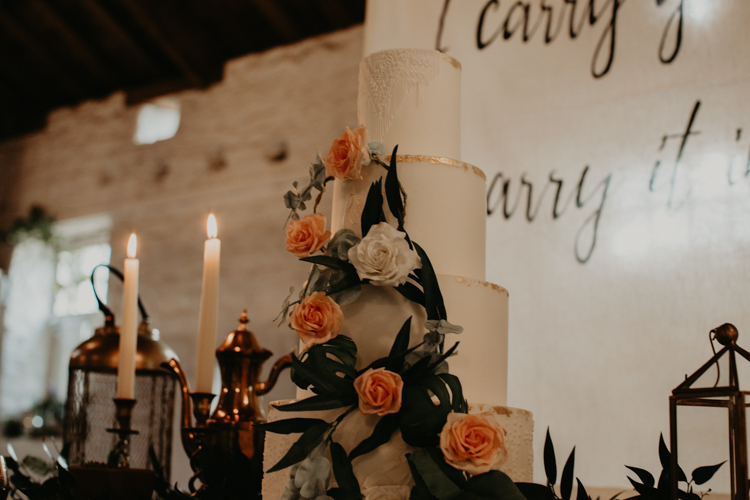 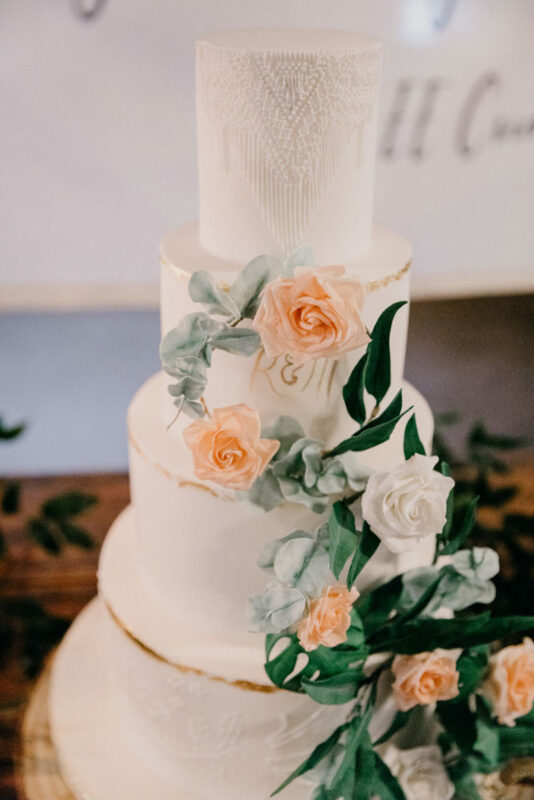 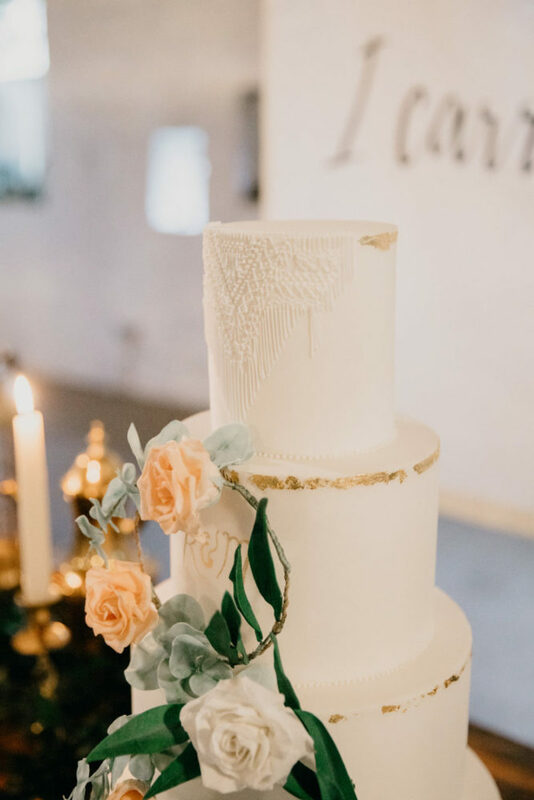 If you’re planning your own Yorkshire wedding – bohemian-styled or otherwise – and would like to commission me to design and create your bespoke wedding cake, taking inspiration from all the carefully chosen elements of your wedding day, please feel free to browse my Portfolio to see if my style is a good fit for you and get in touch!